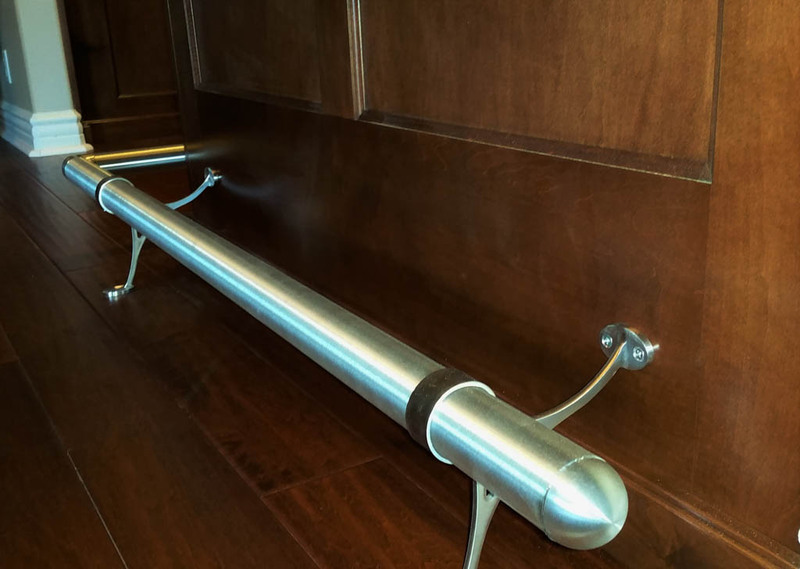 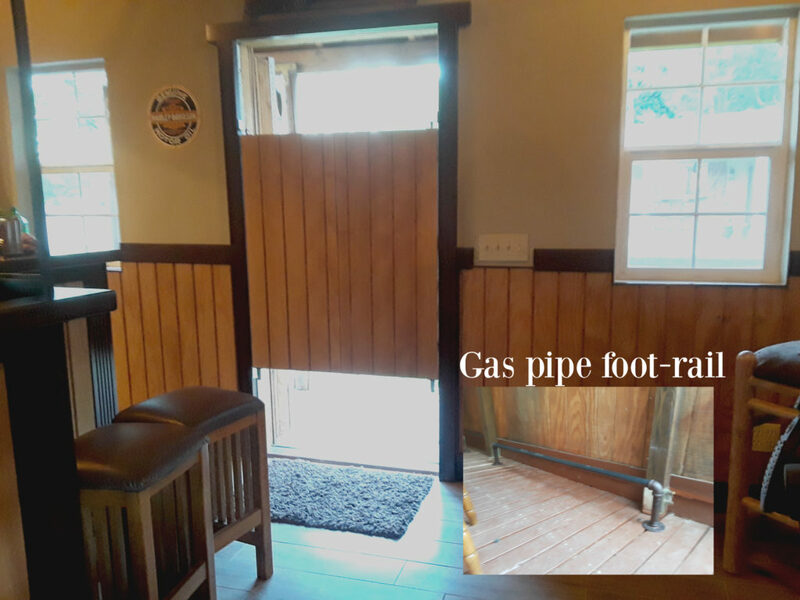 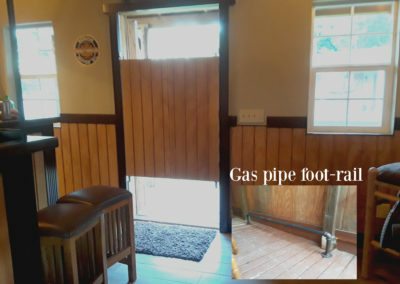 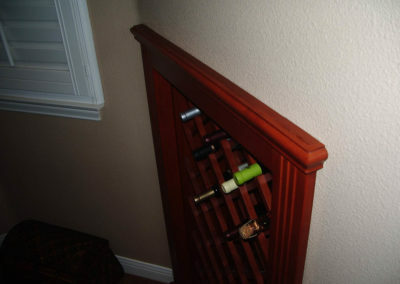 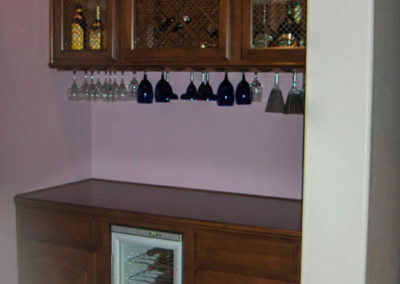 An area for your your wine fridge or beer on tap. 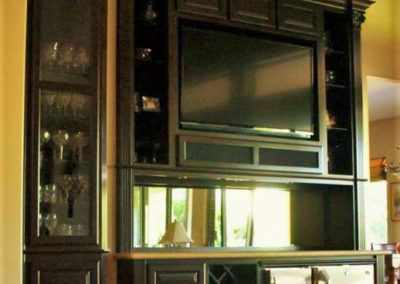 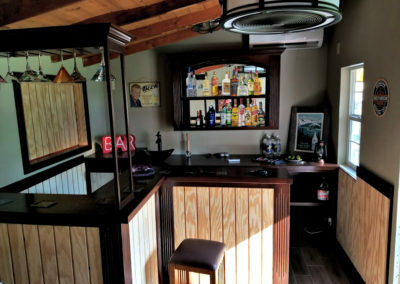 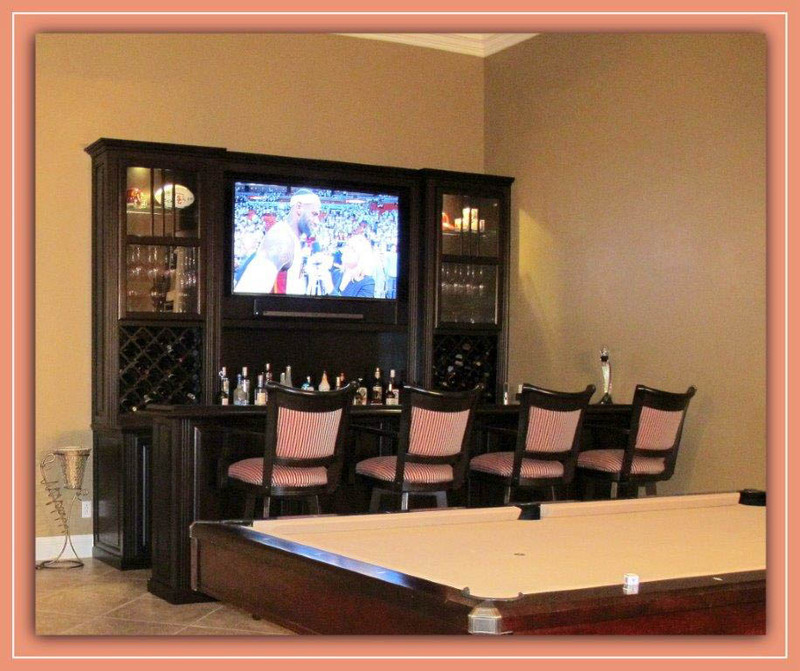 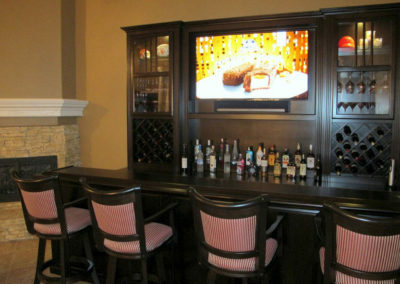 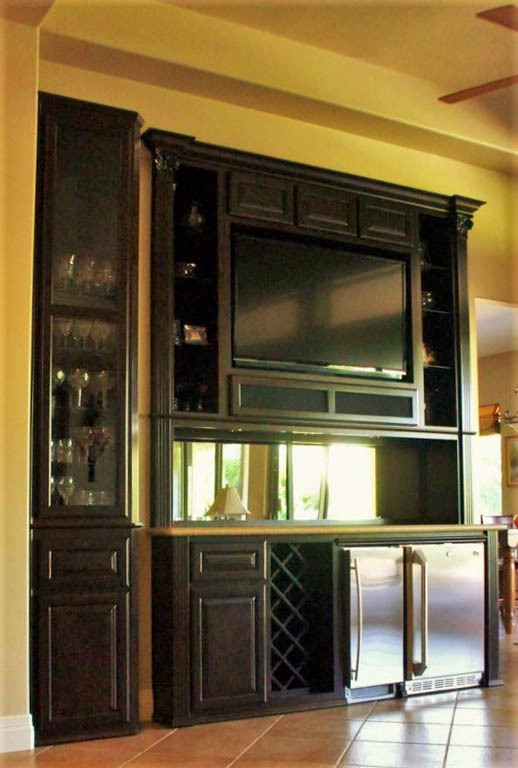 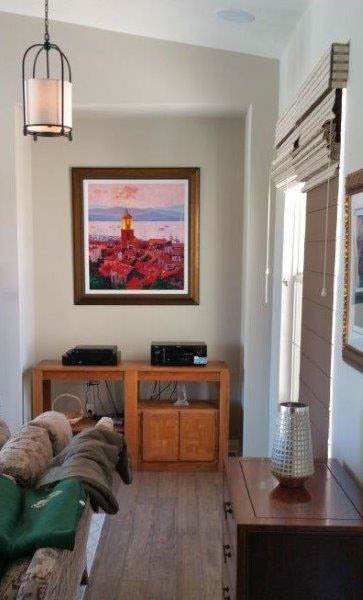 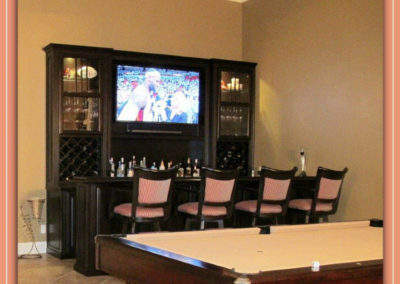 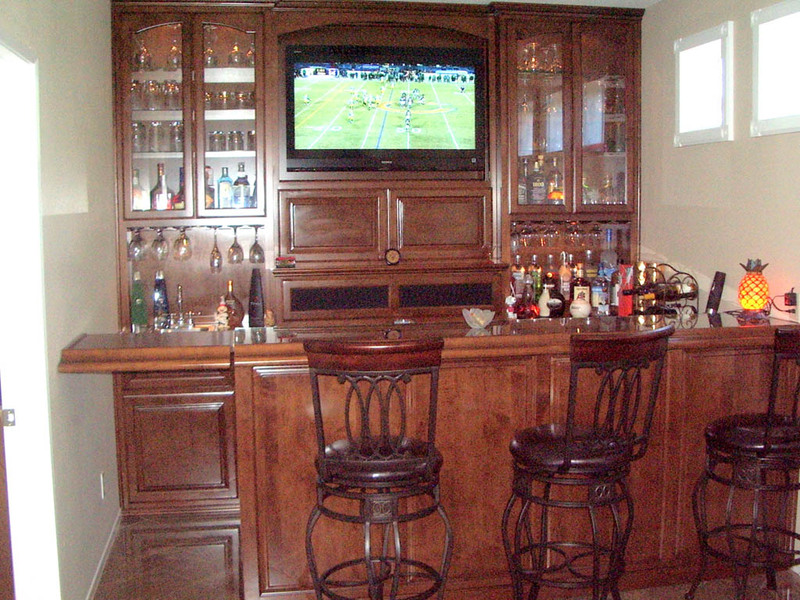 Thinking of including a TV in your home bar? 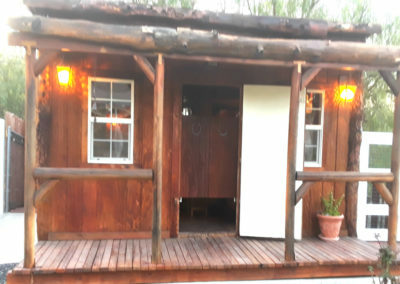 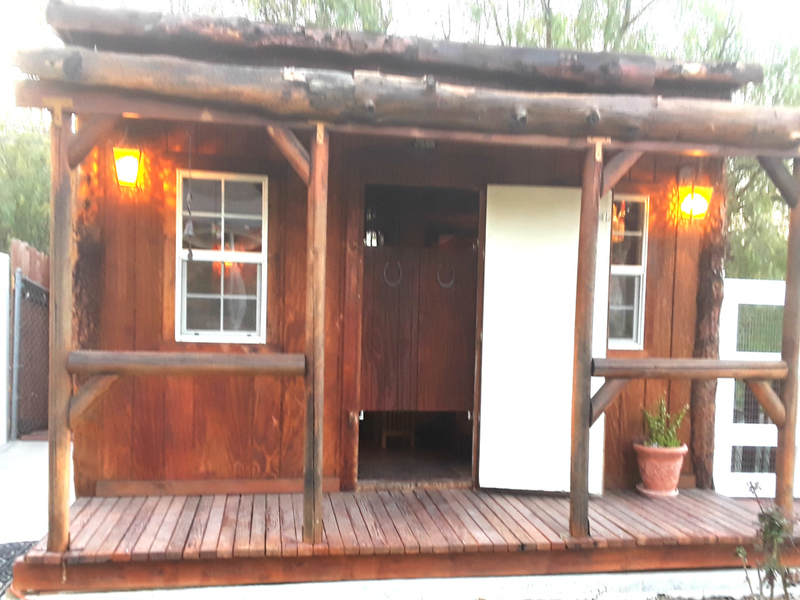 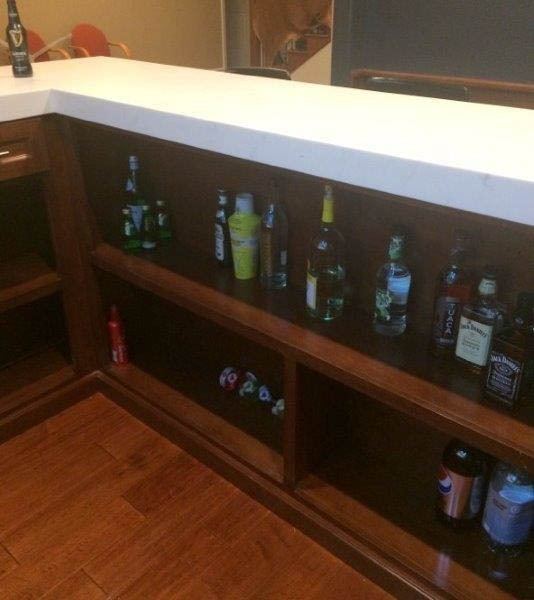 We can include a spot for that too. 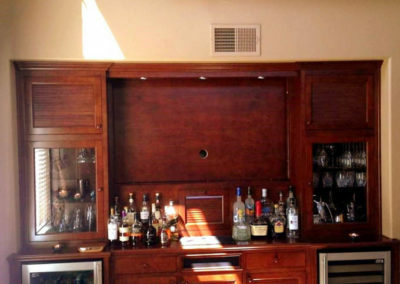 If you’re looking for the ultimate home bar cabinets, you’ve come to the right place. 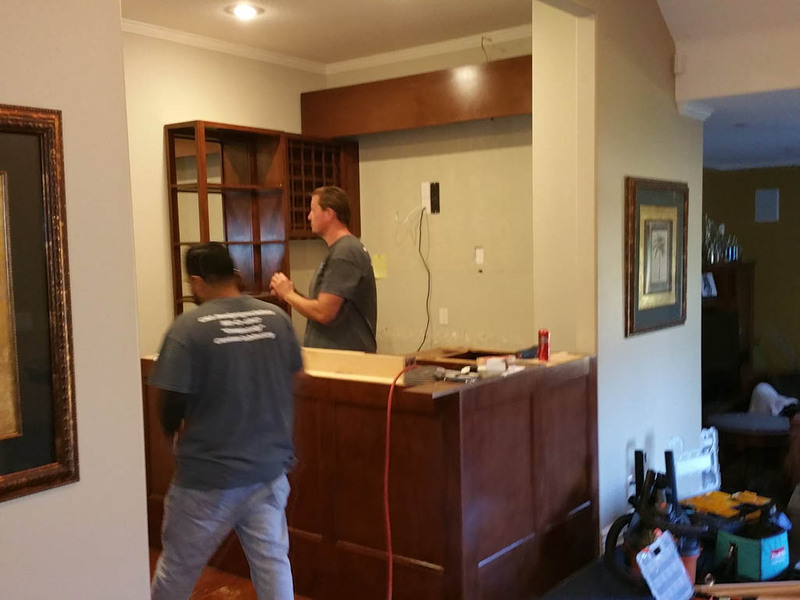 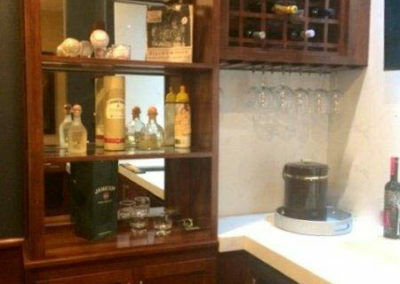 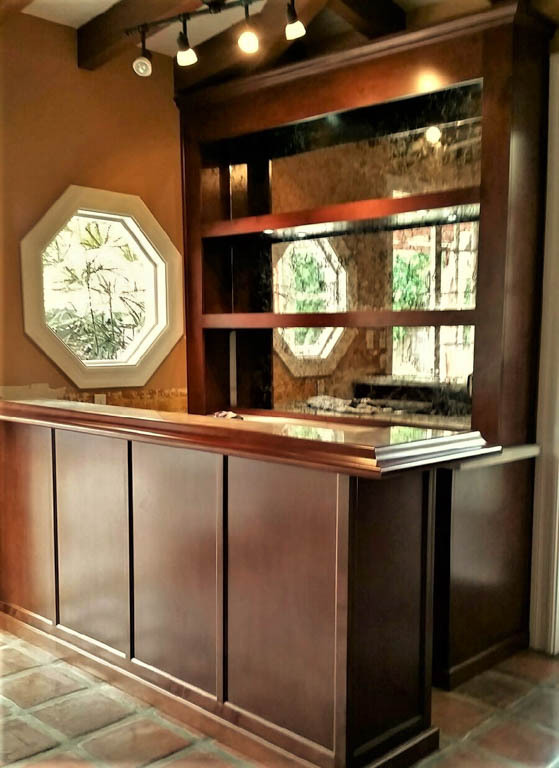 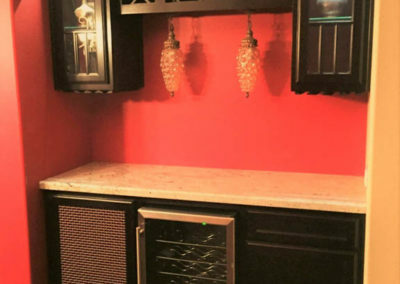 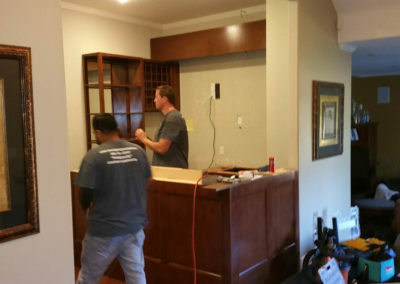 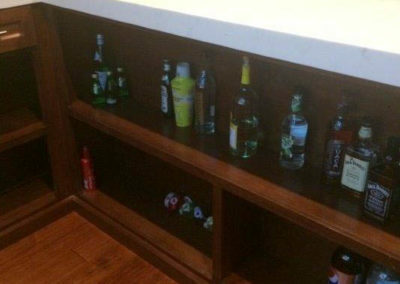 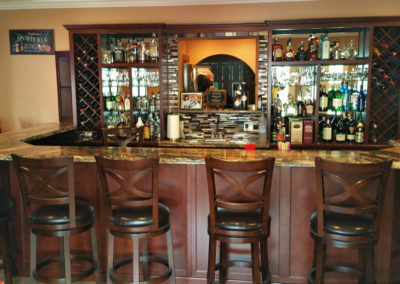 Raise the bar with custom bar cabinets. 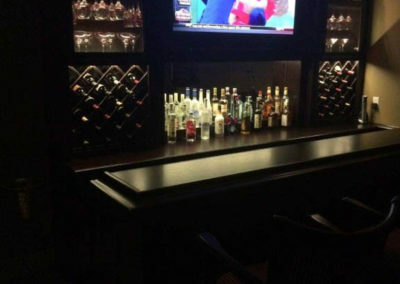 And just a personal note, I know for a fact 40% of the custom bars we design and install are for the law enforcement and military client. 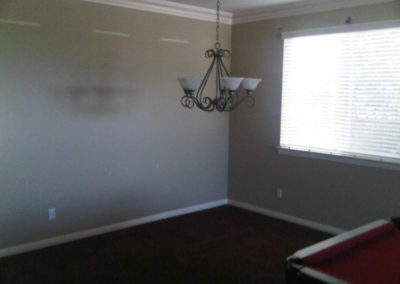 Maybe they feel it’s safer in their own home. 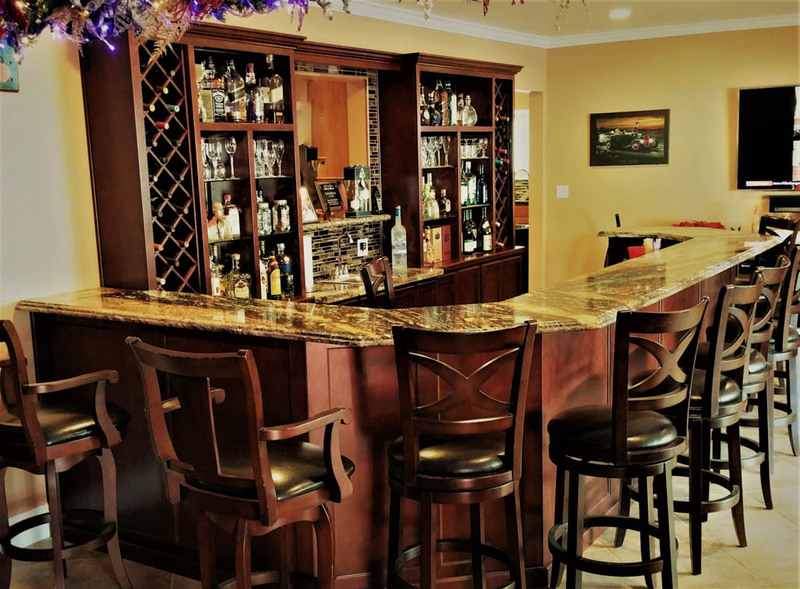 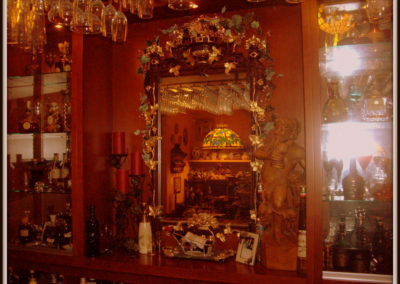 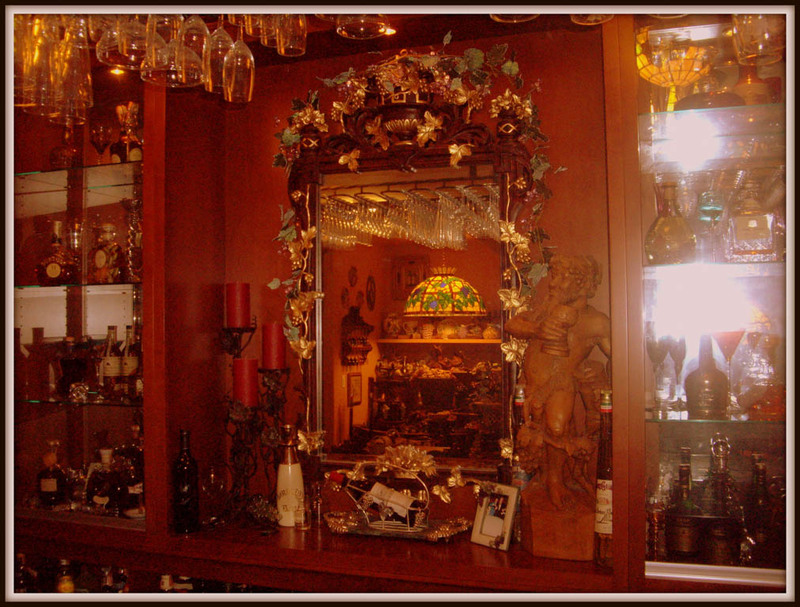 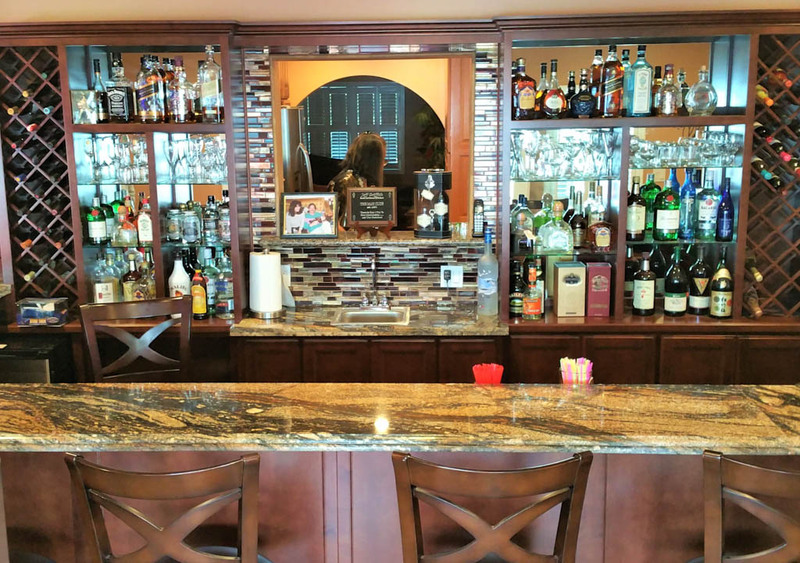 A custom home bar is a luxury not all will indulge in, but know this. 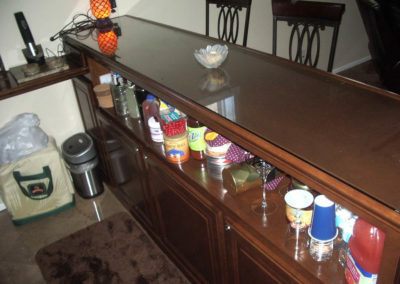 It may make the difference between having friends over OR having a night with friends. 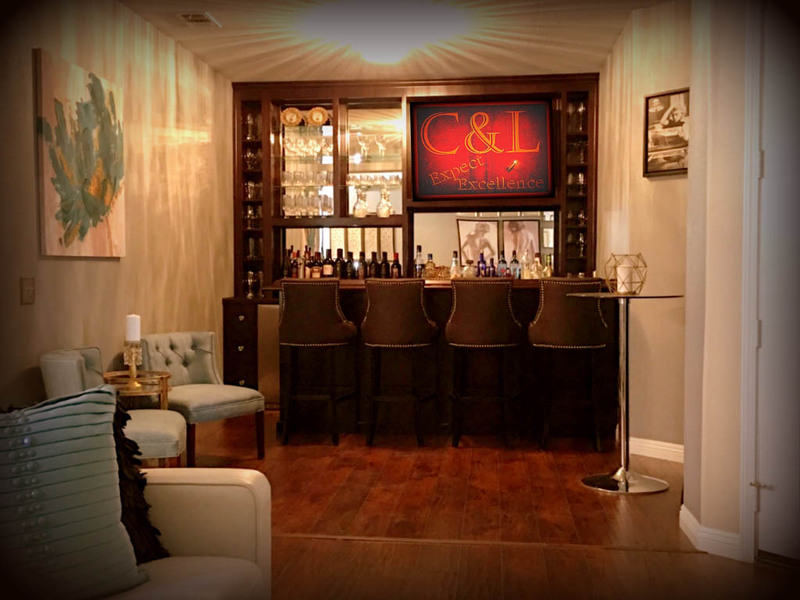 For this past year, C & L had its highest volume ever in home bar designs and installations, and with an astounding 75% coming by referrals. 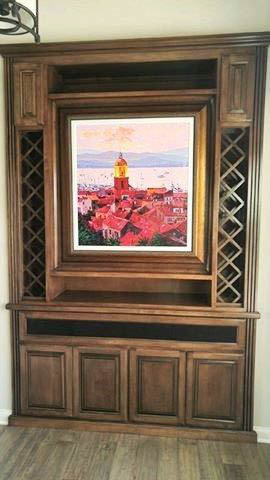 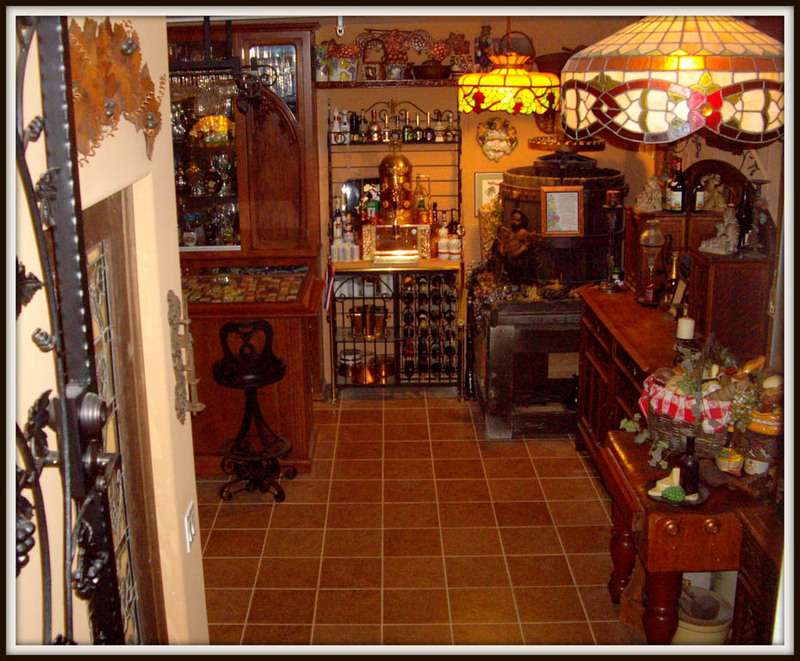 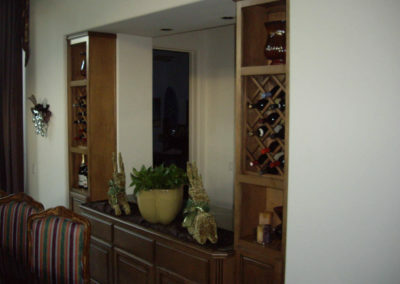 Select from a variety of cabinet styles and colors to fit your home’s decor. 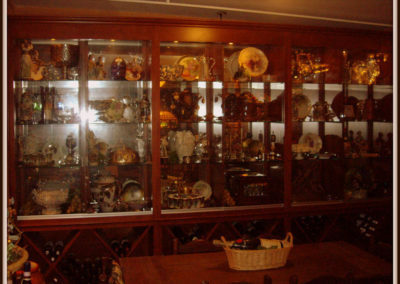 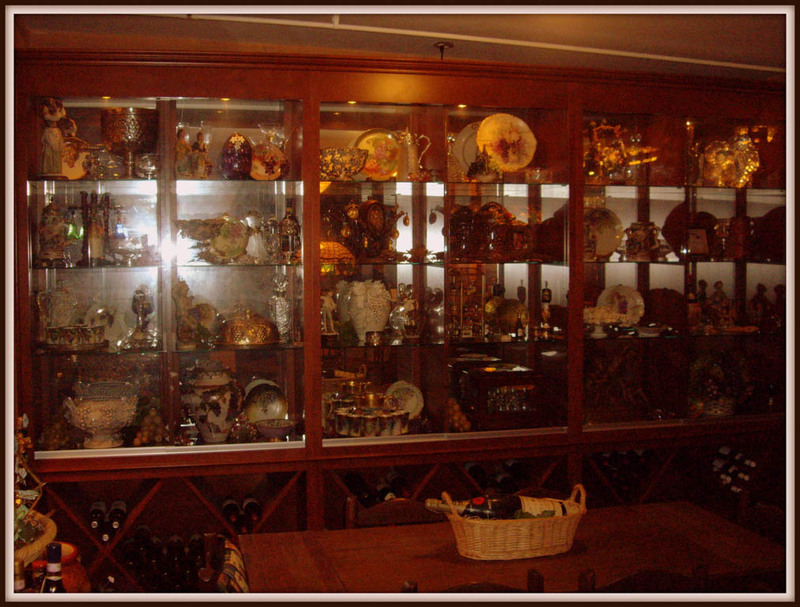 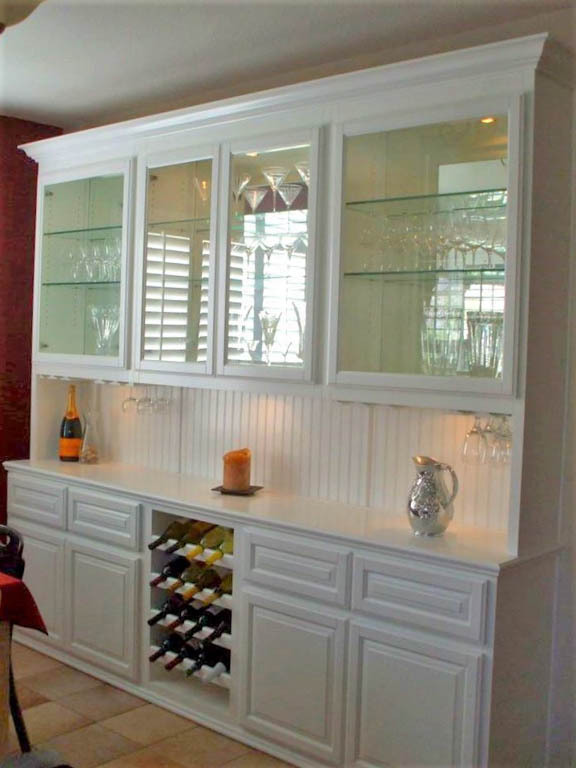 Displayed beautifully, our cabinets will hold and display all your entertaining essentials. 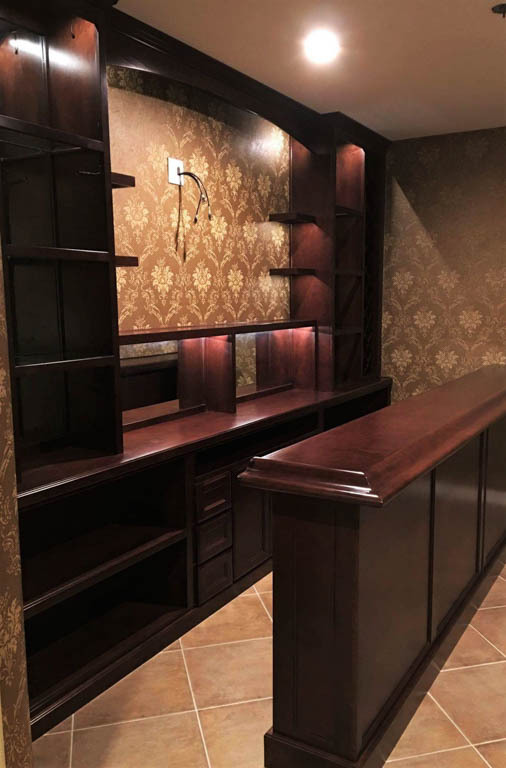 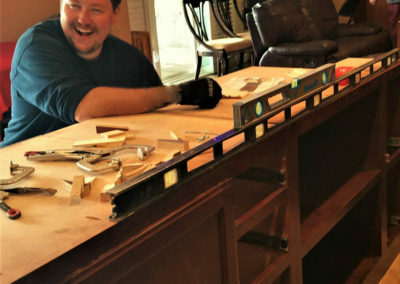 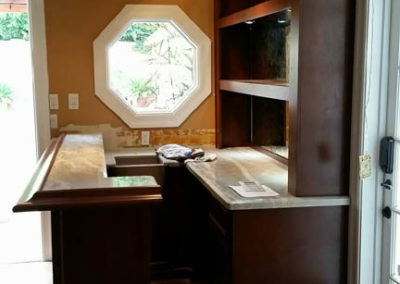 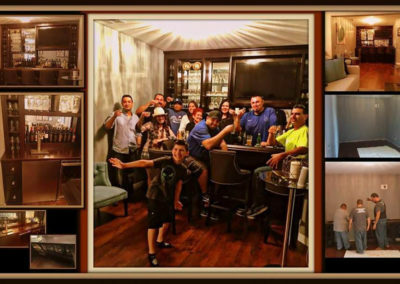 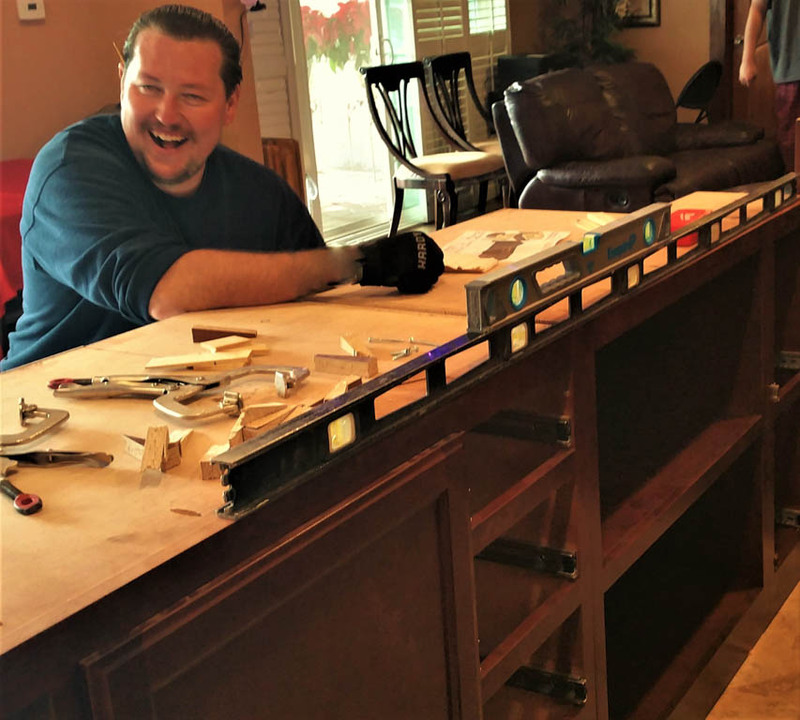 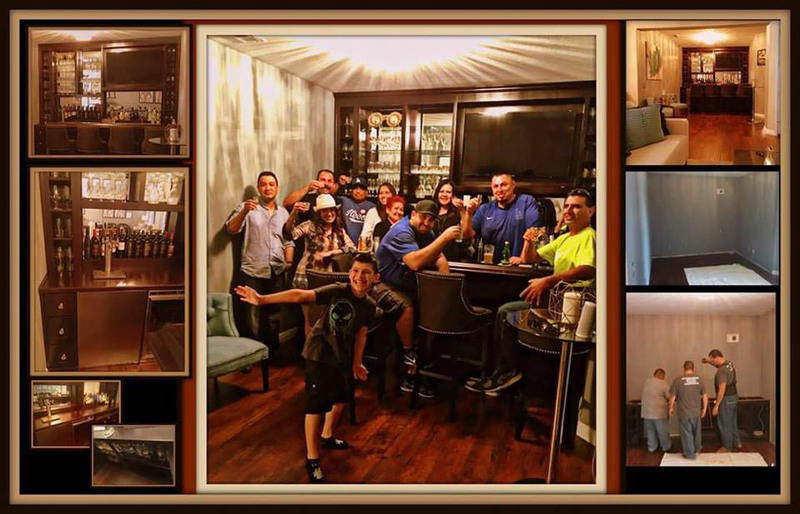 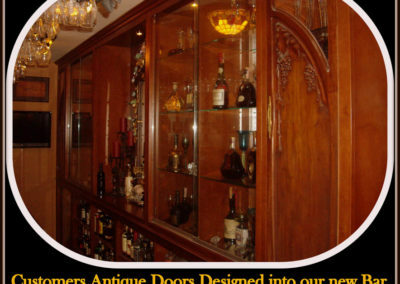 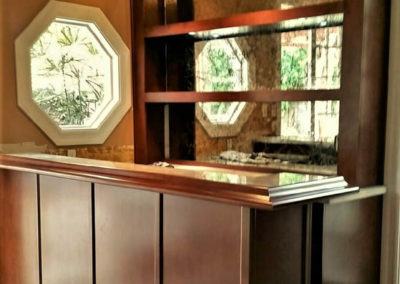 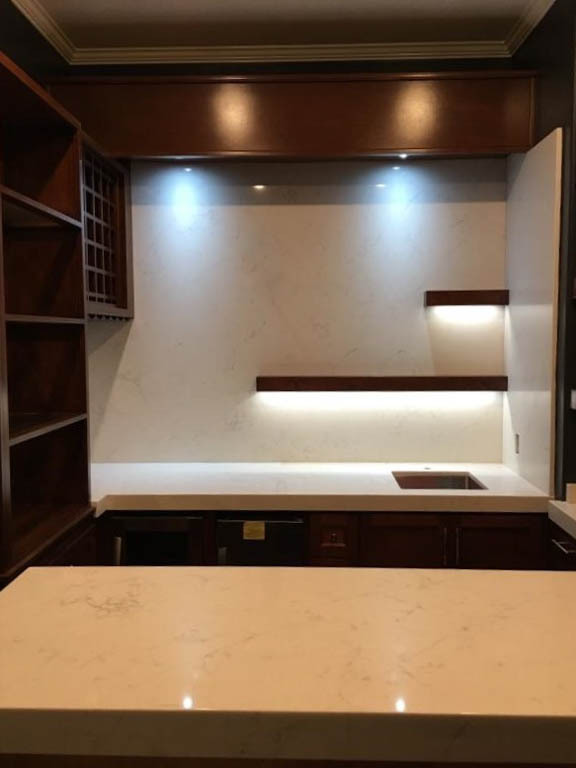 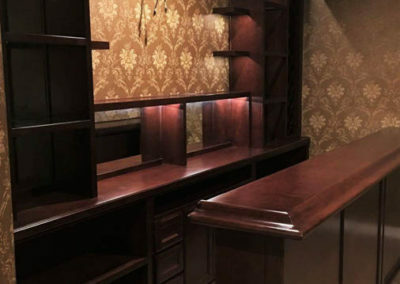 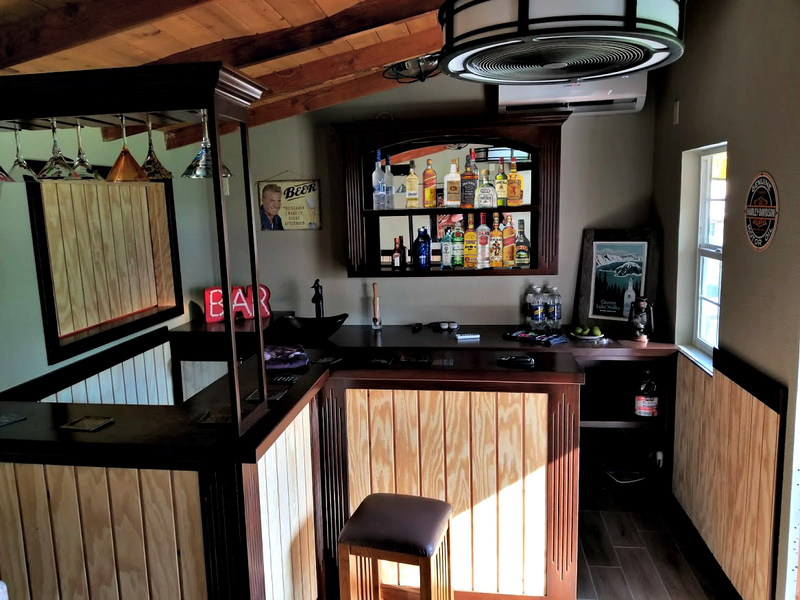 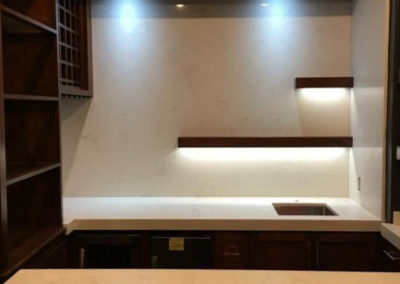 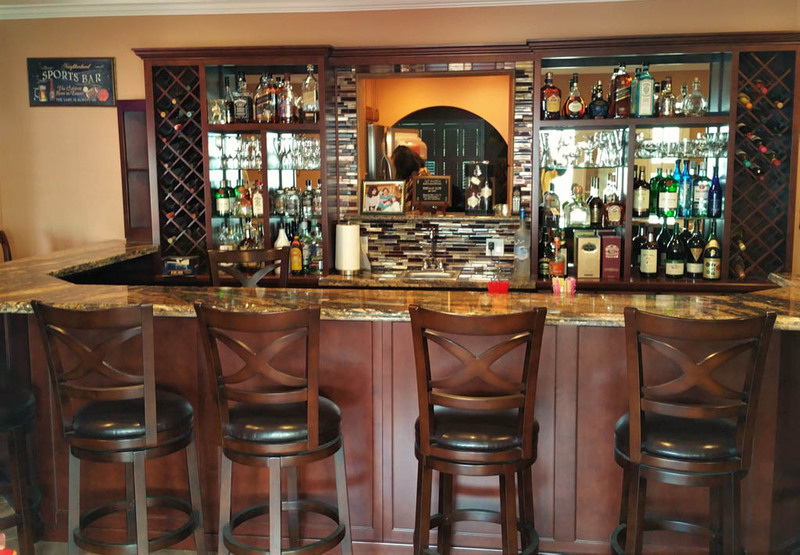 Any décor from Tommy Bahama, to modern, to turn of the century, to traditional, C & L Design Specialists designers and engineers will design your family a custom home bar that will fit your home perfectly, as well as your budget! 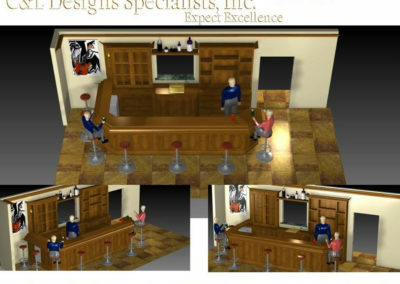 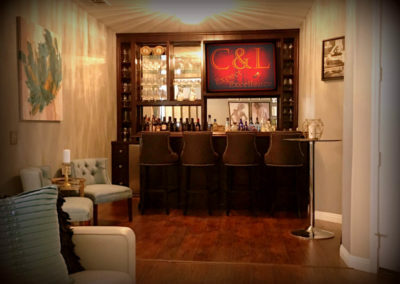 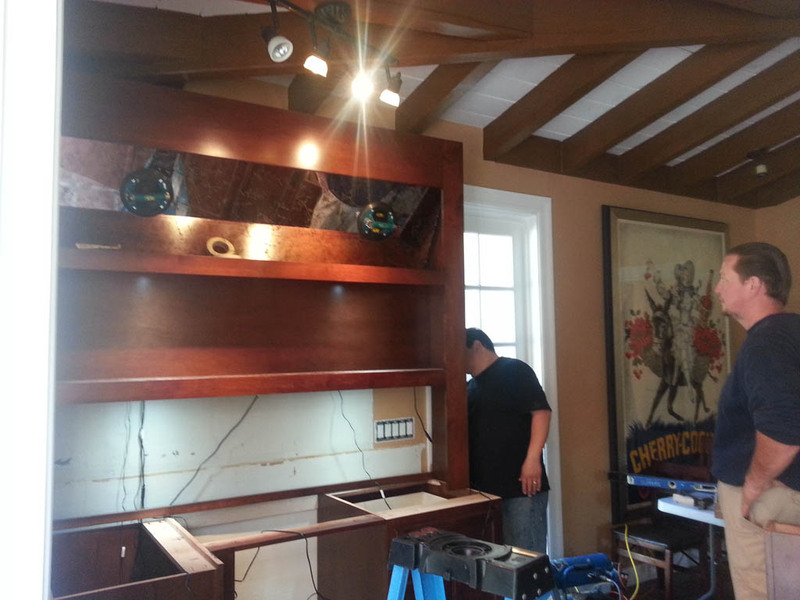 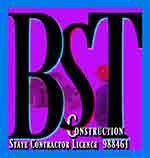 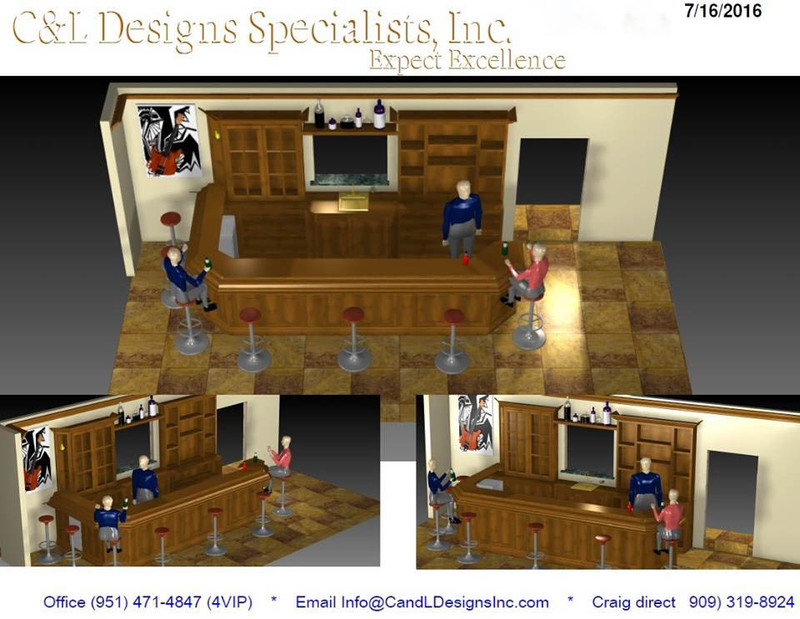 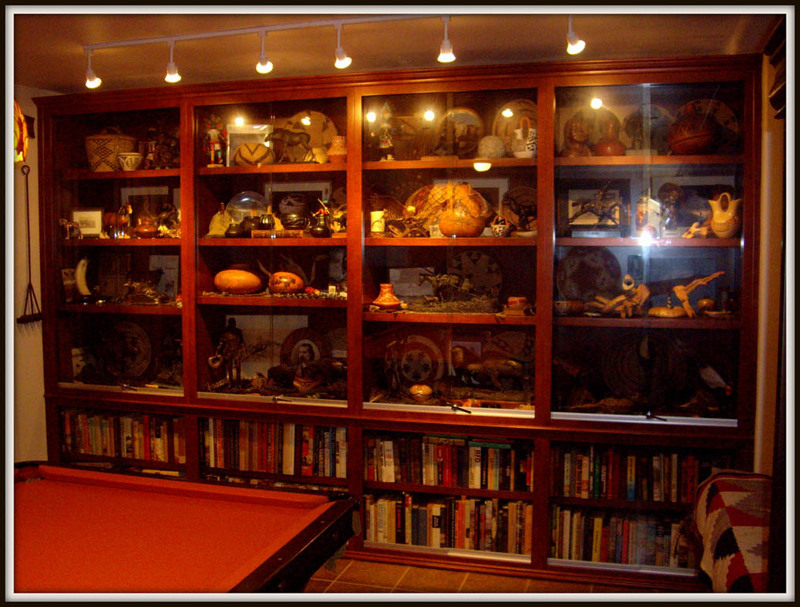 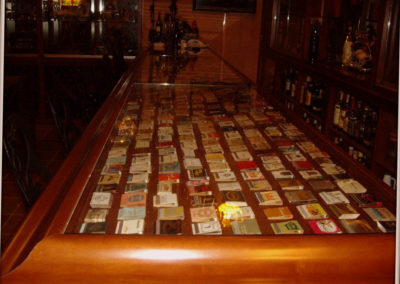 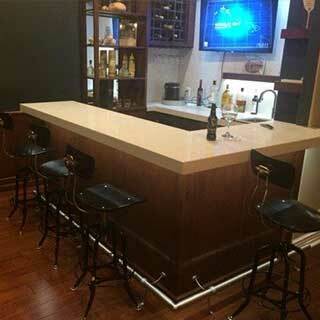 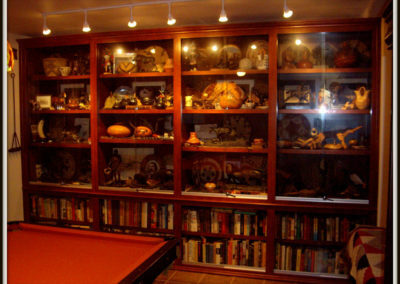 C & L is at the top of the list as a Southern California leader in home bar design and installations. 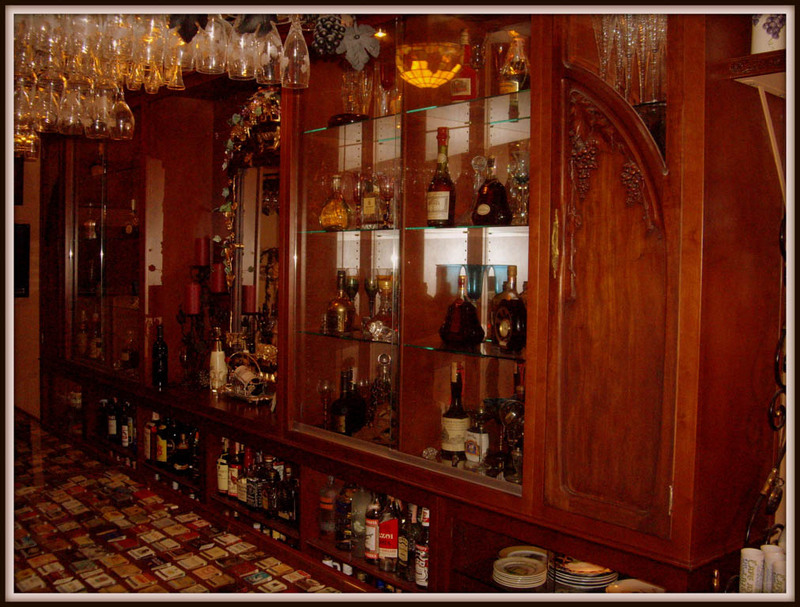 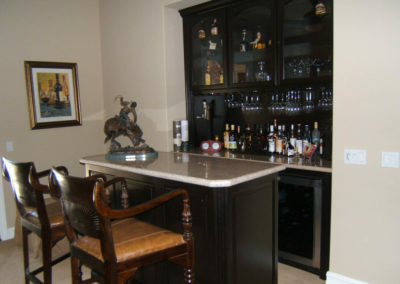 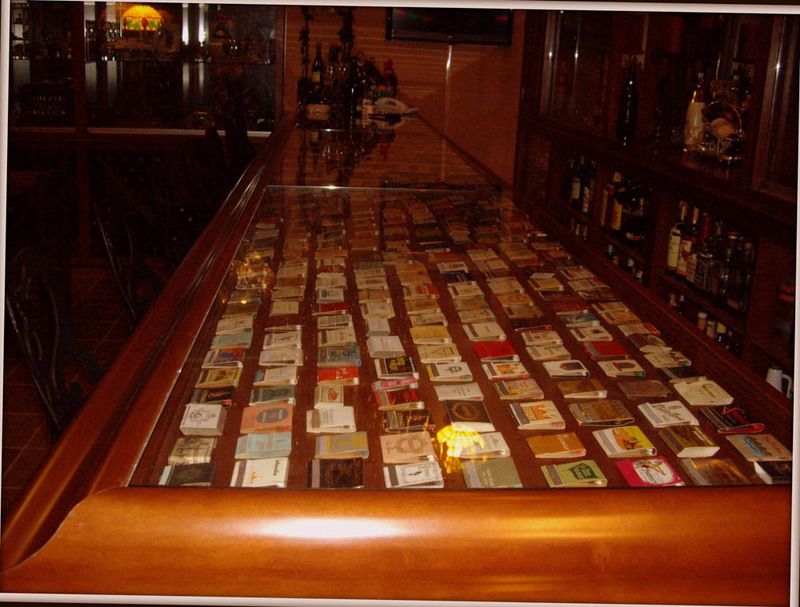 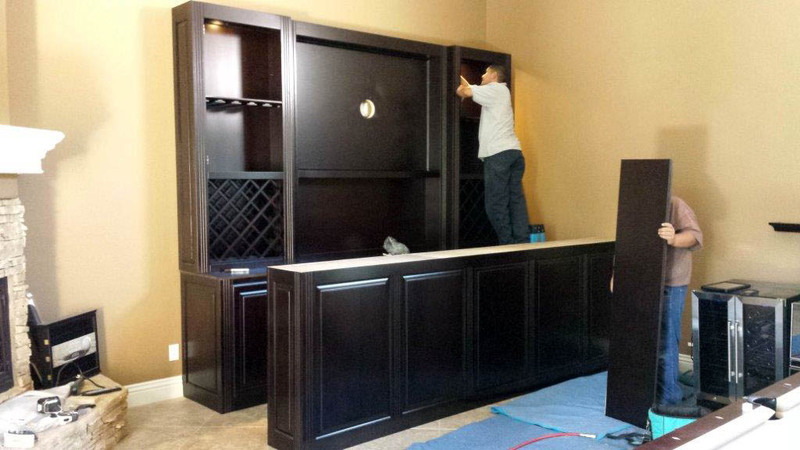 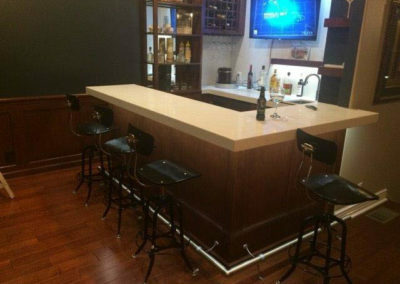 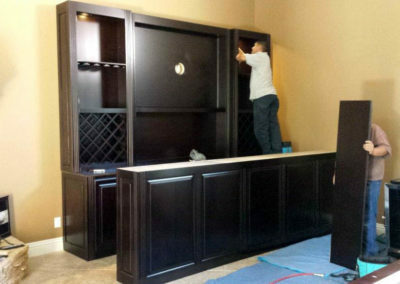 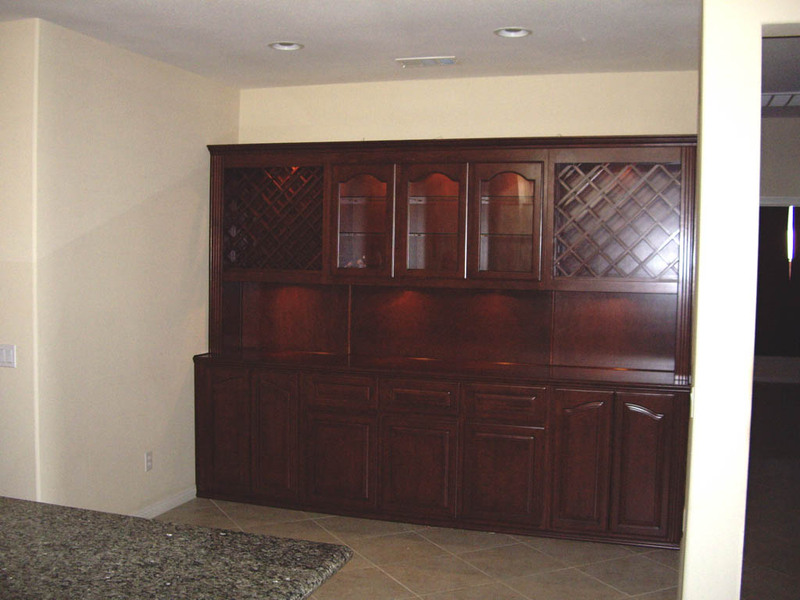 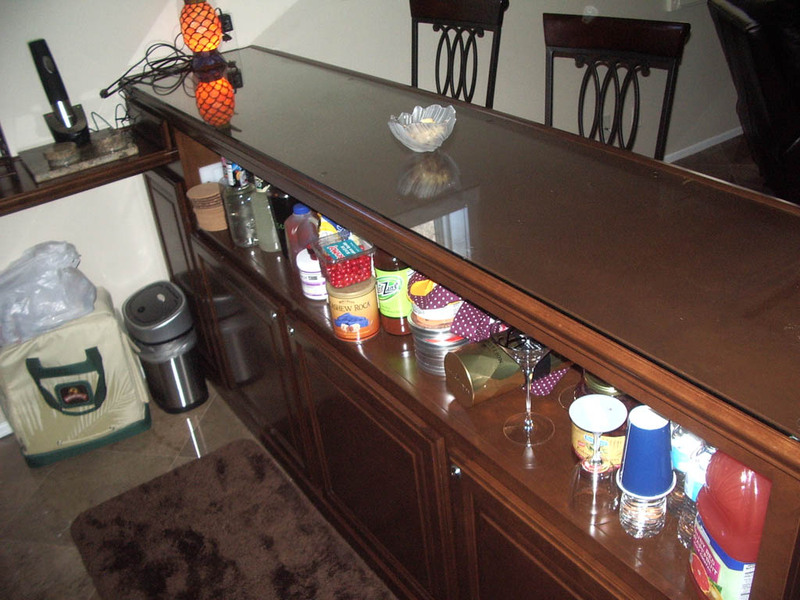 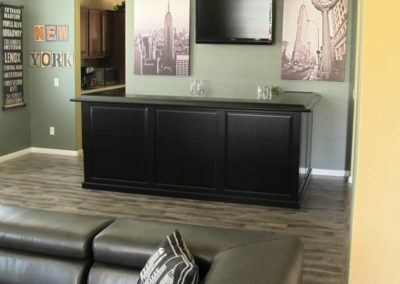 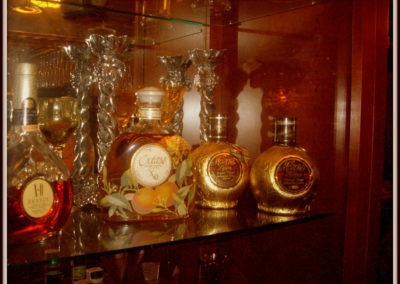 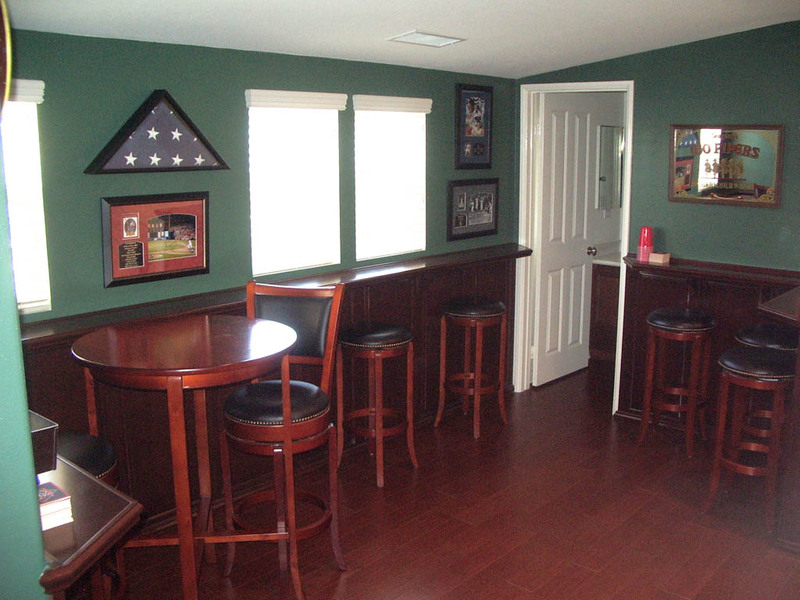 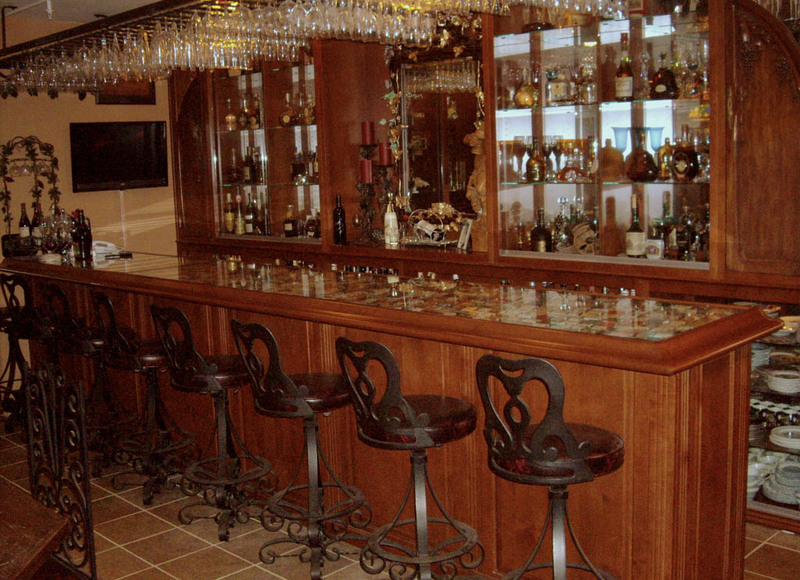 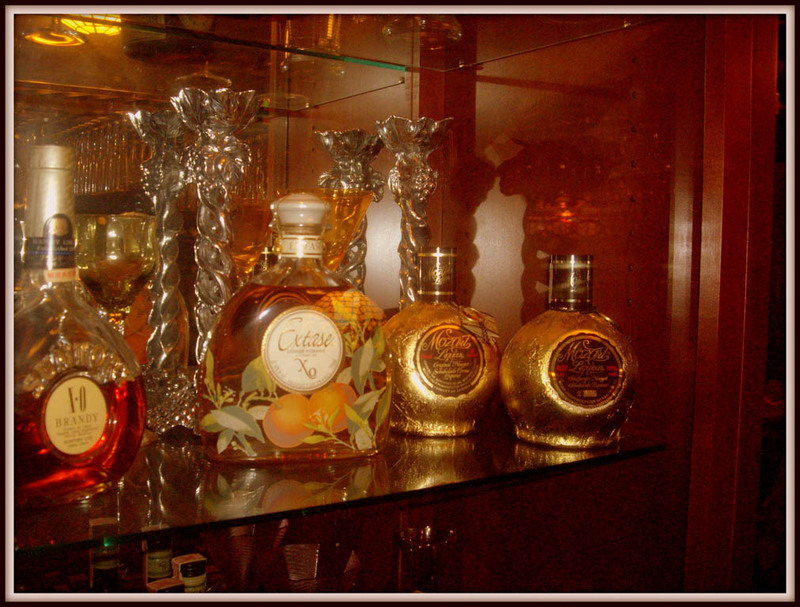 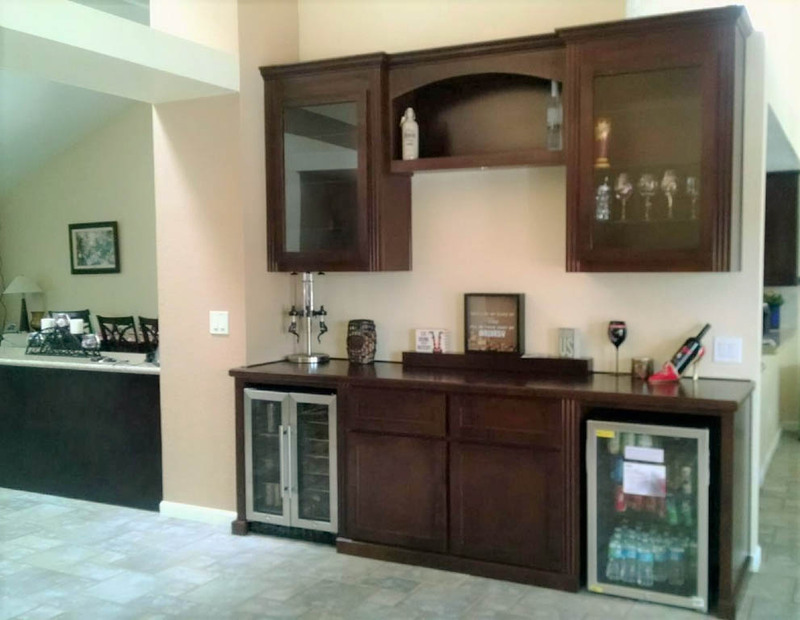 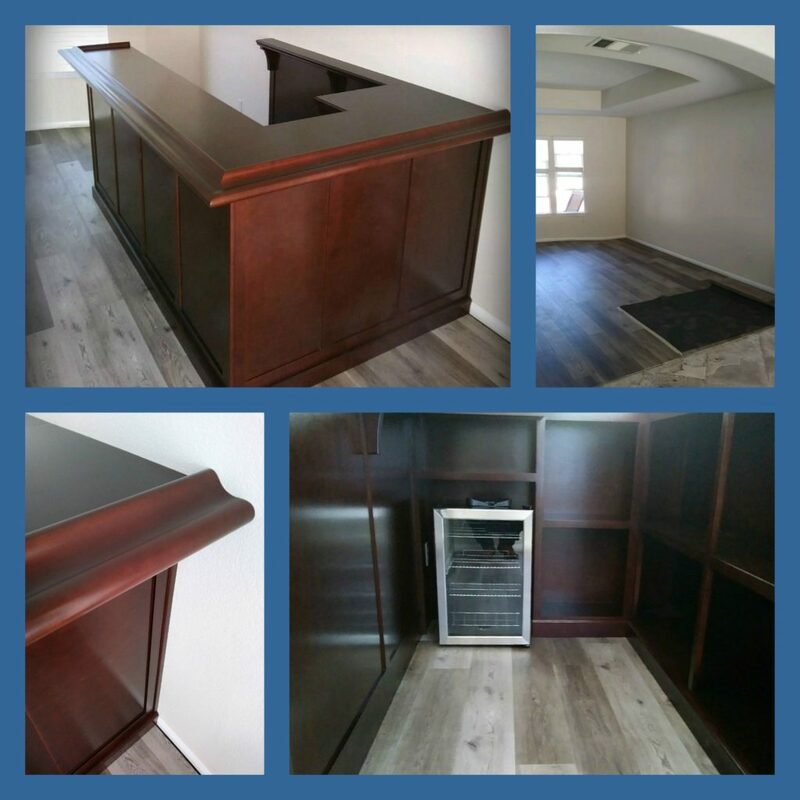 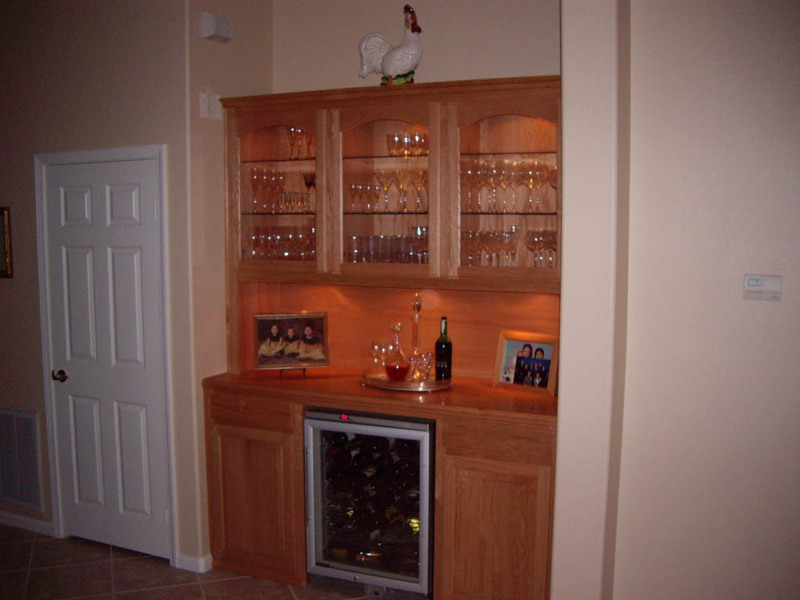 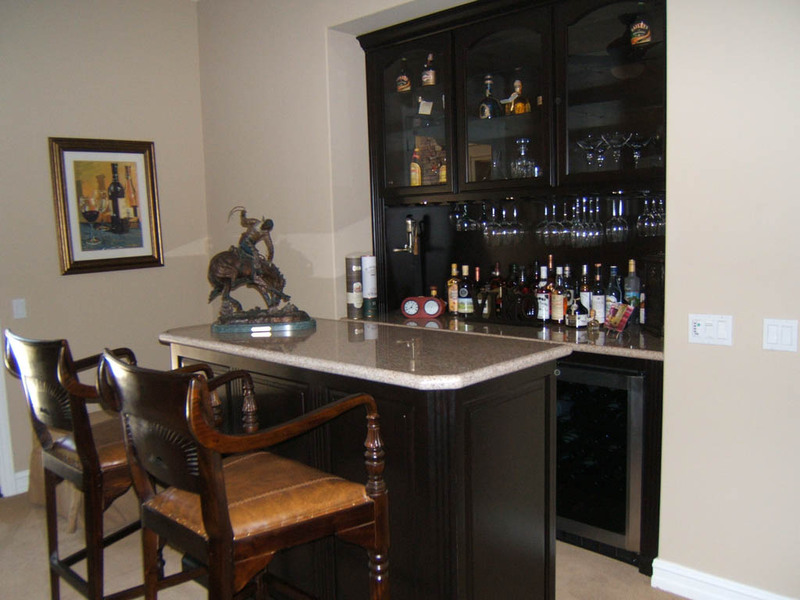 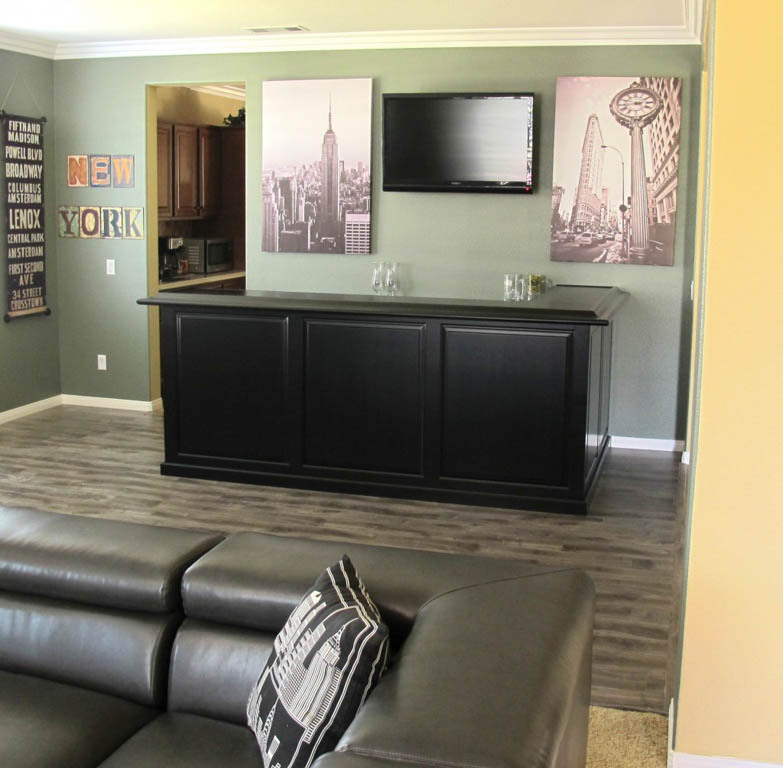 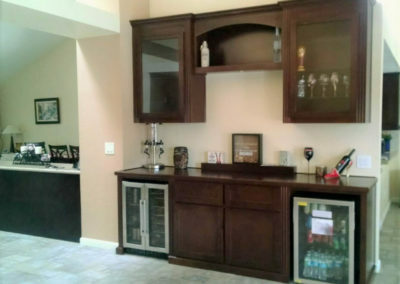 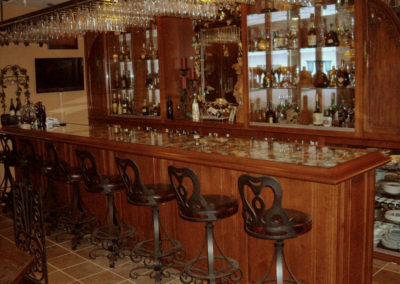 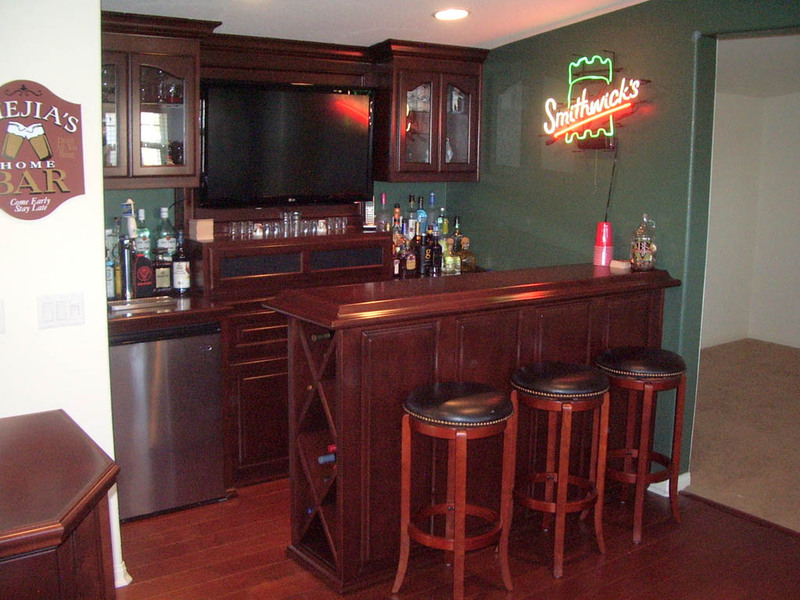 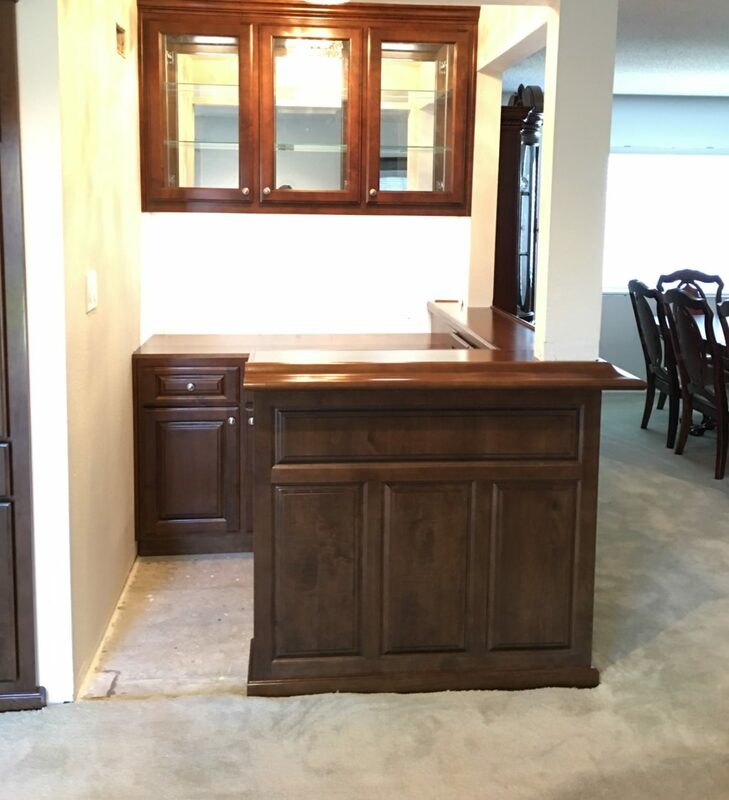 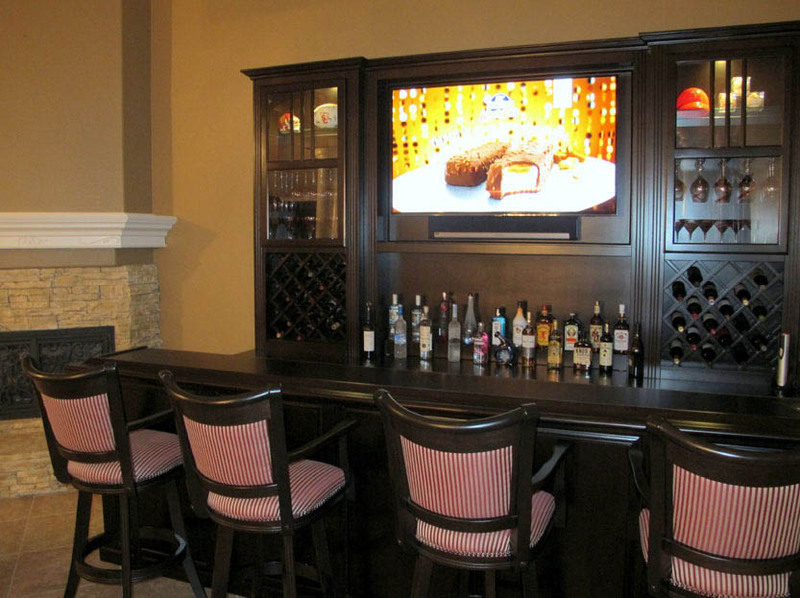 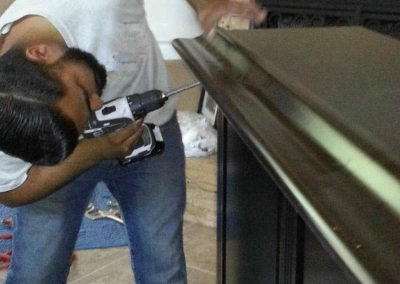 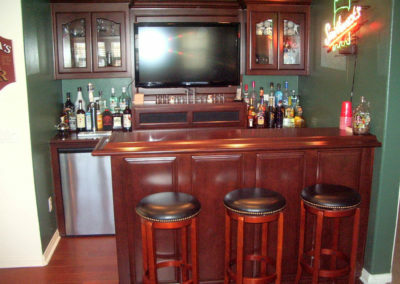 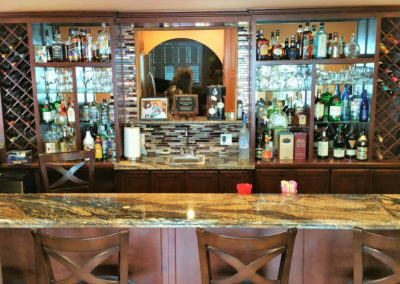 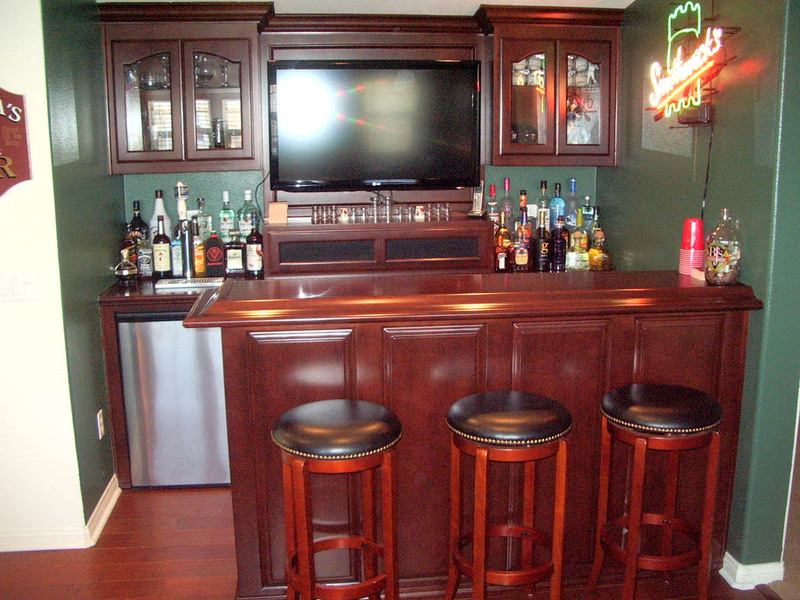 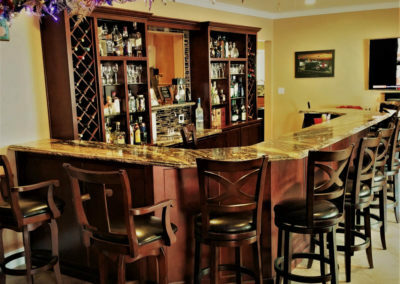 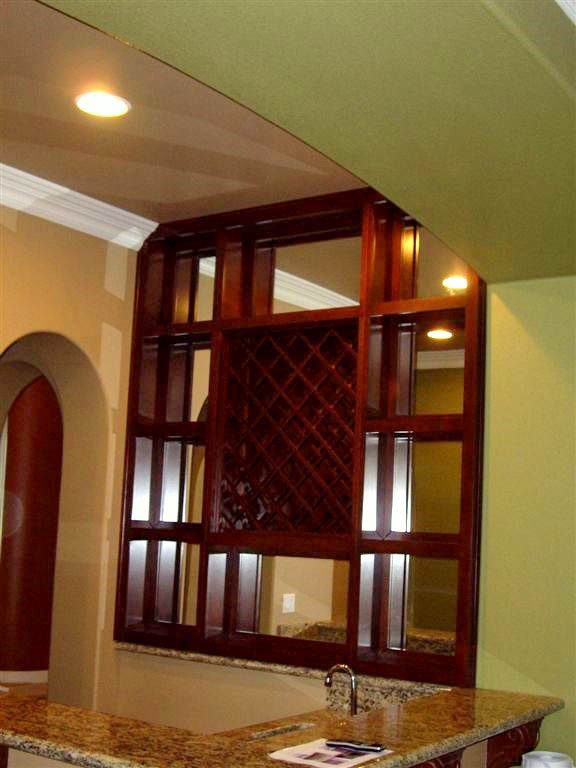 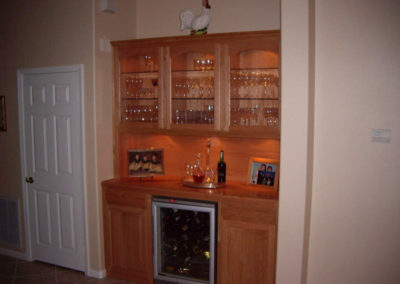 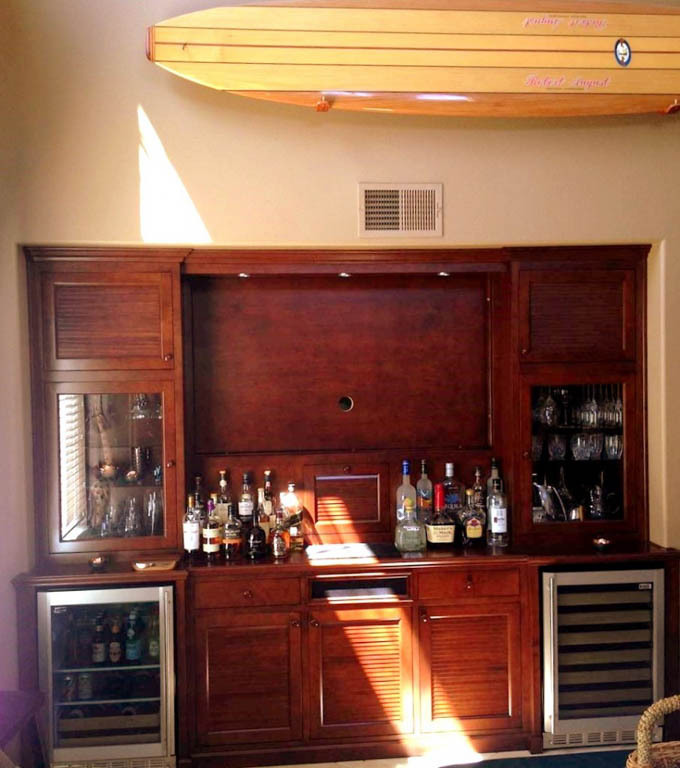 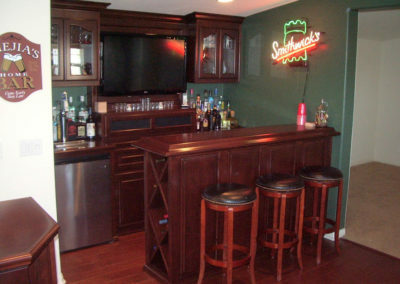 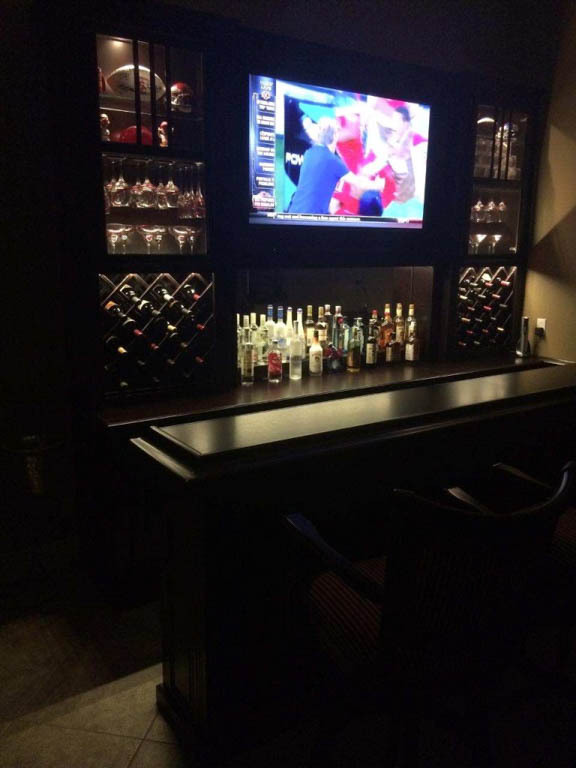 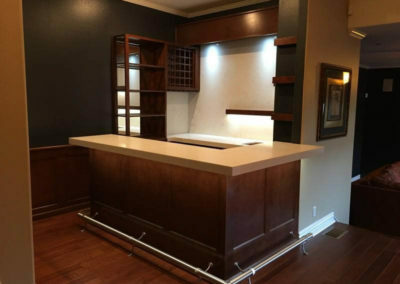 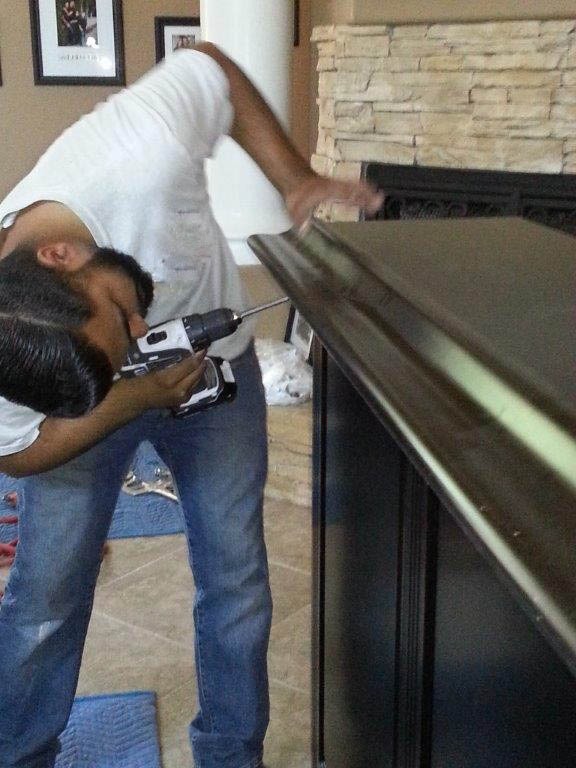 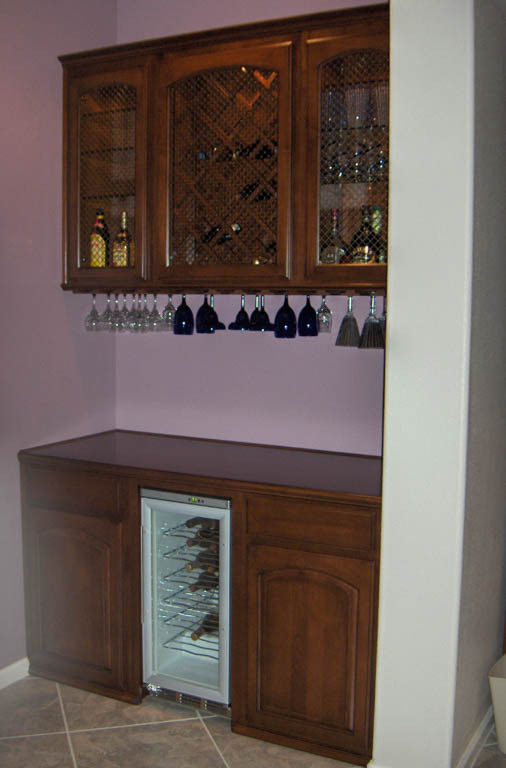 We strive to make sure your family’s custom home bar fits your budget and lifestyle, as well as your home’s décor. 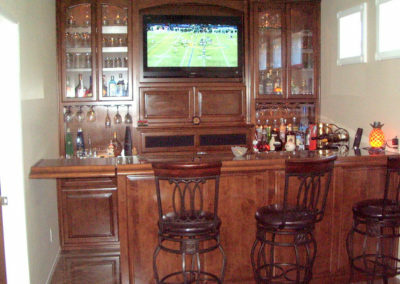 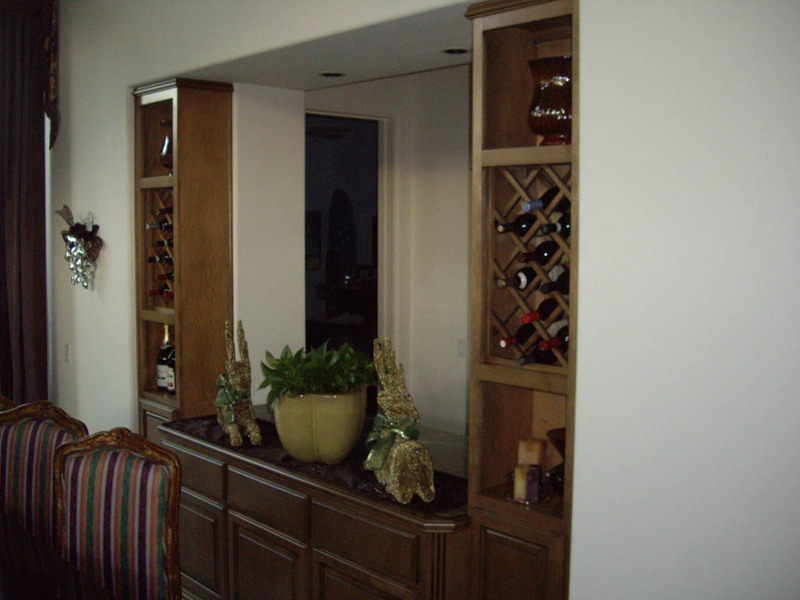 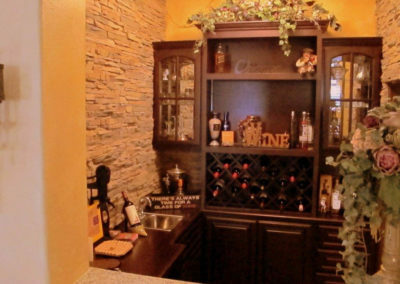 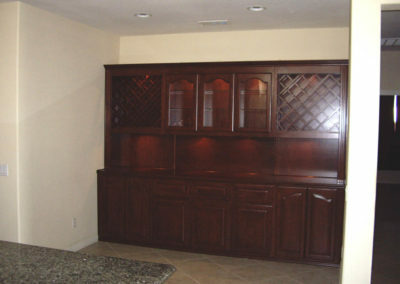 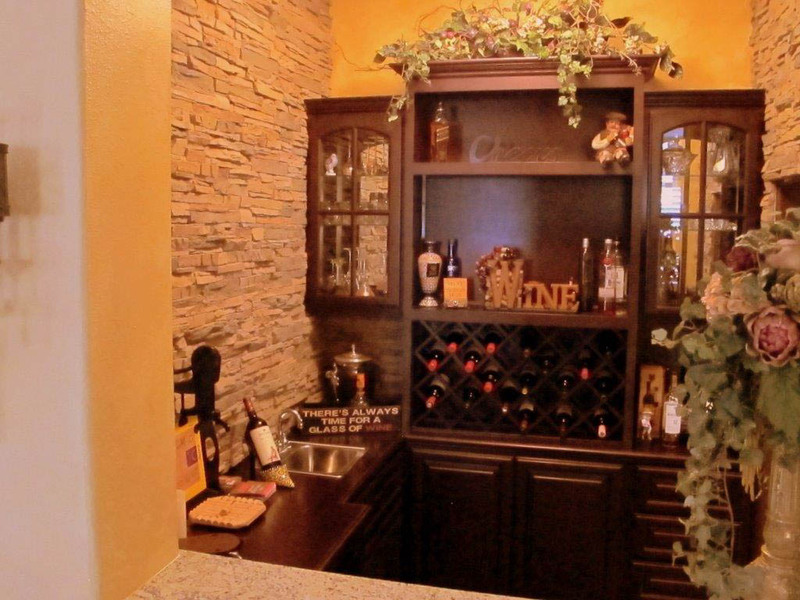 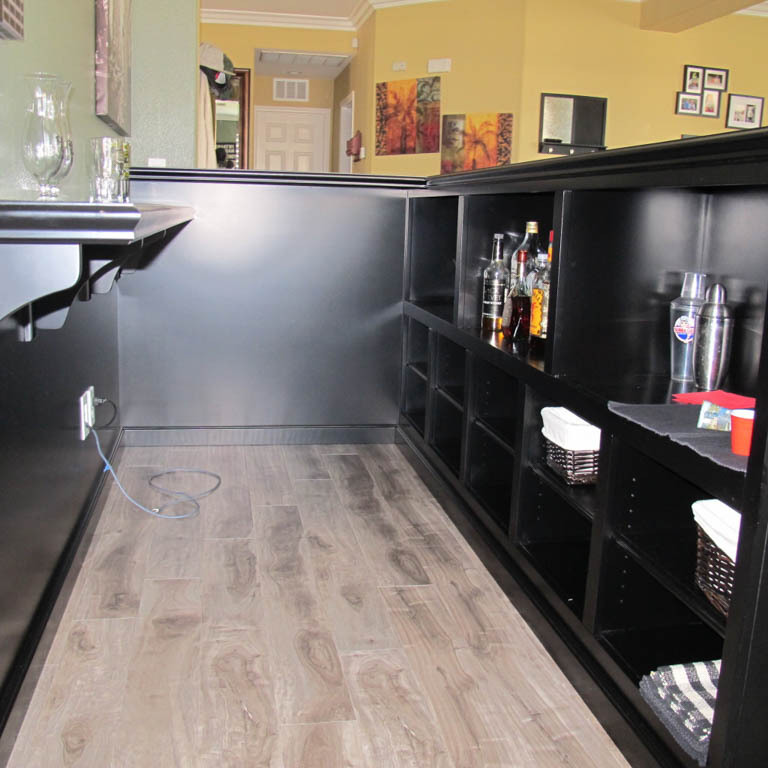 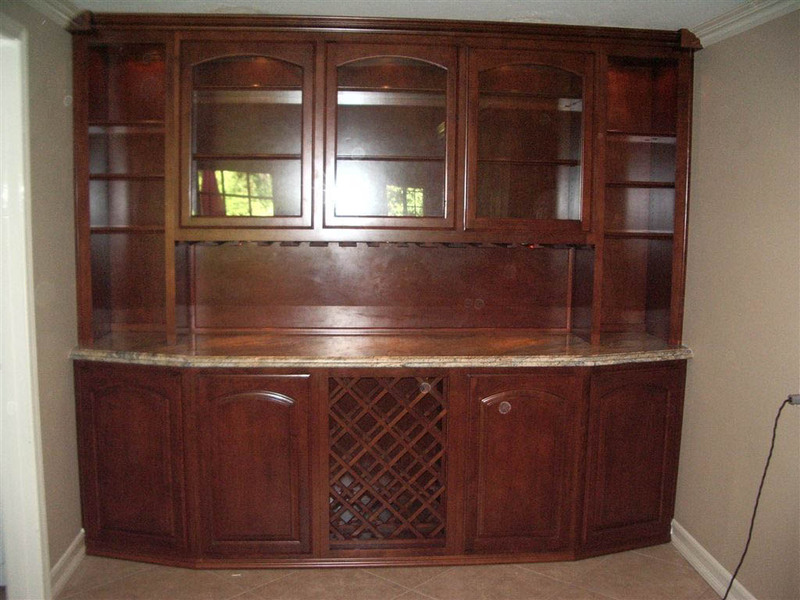 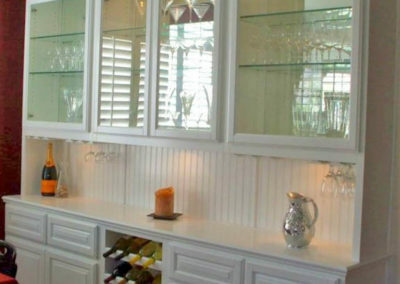 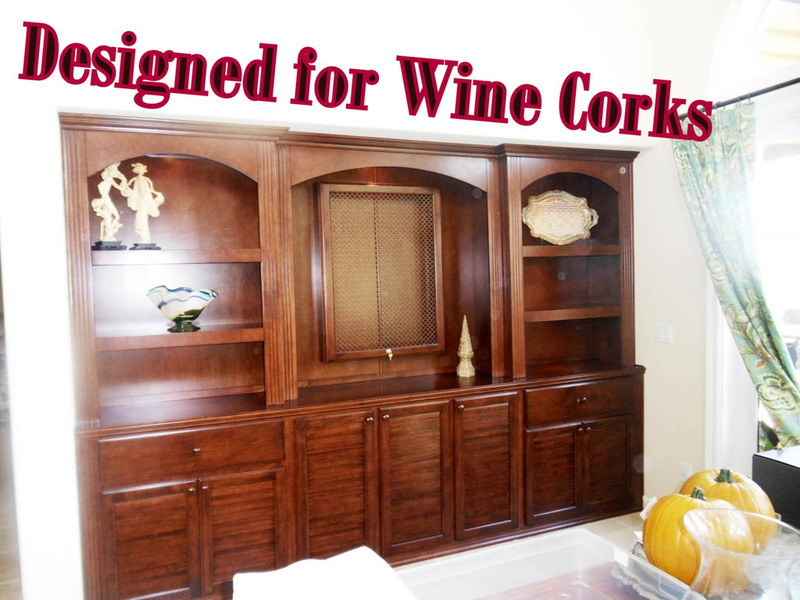 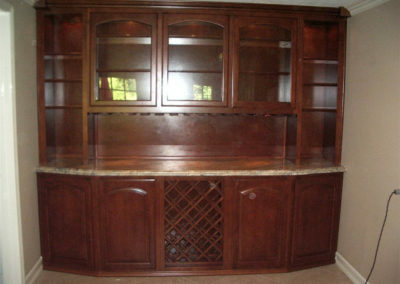 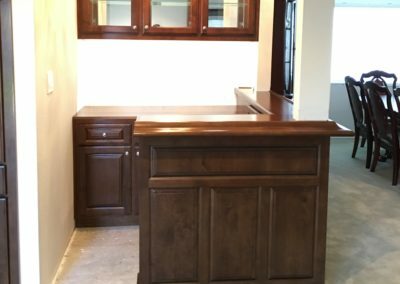 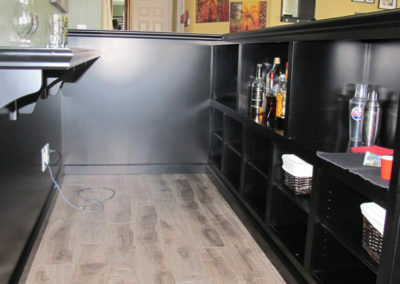 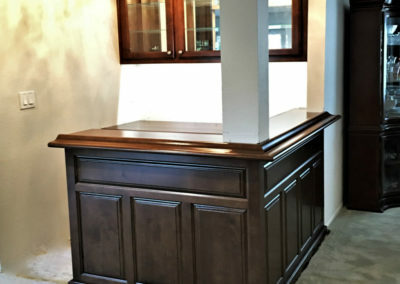 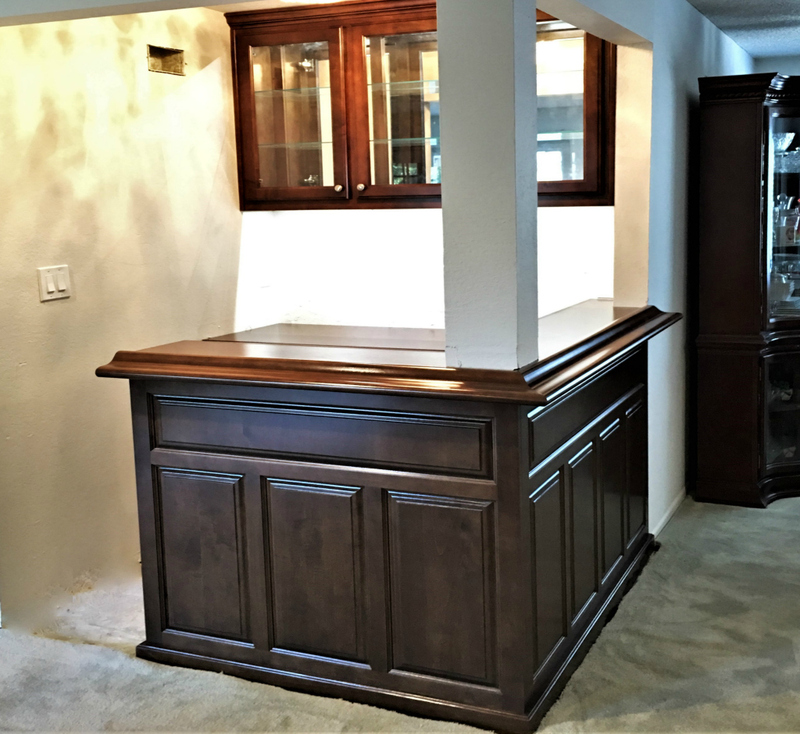 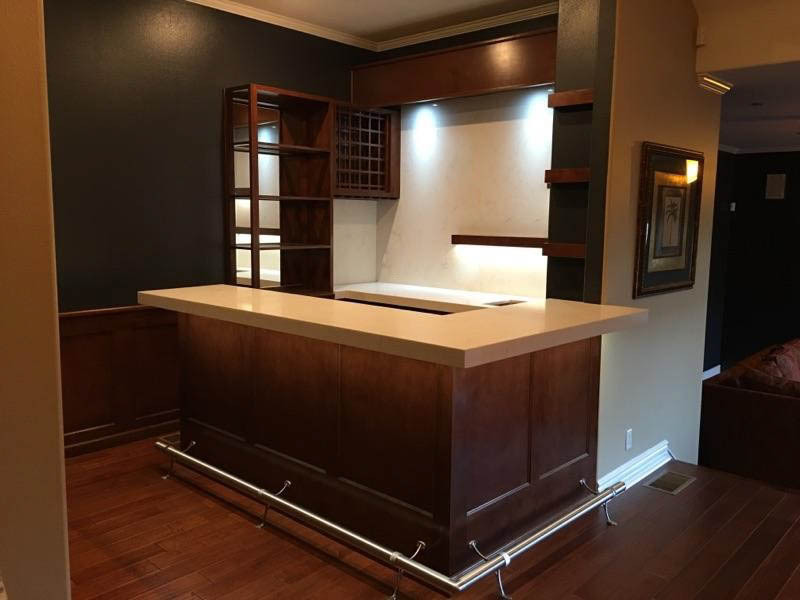 Serve your guests in style with built in custom home bar cabinets. 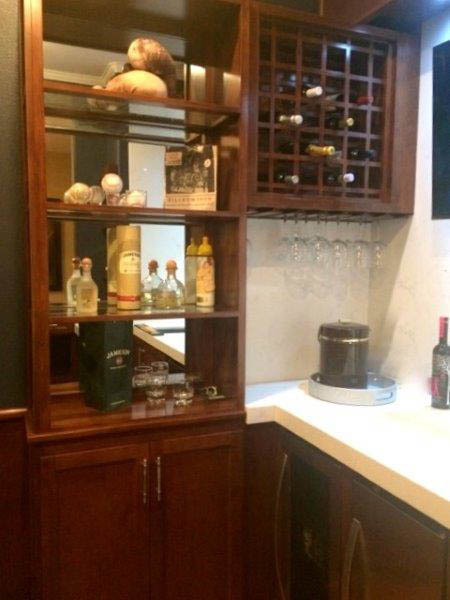 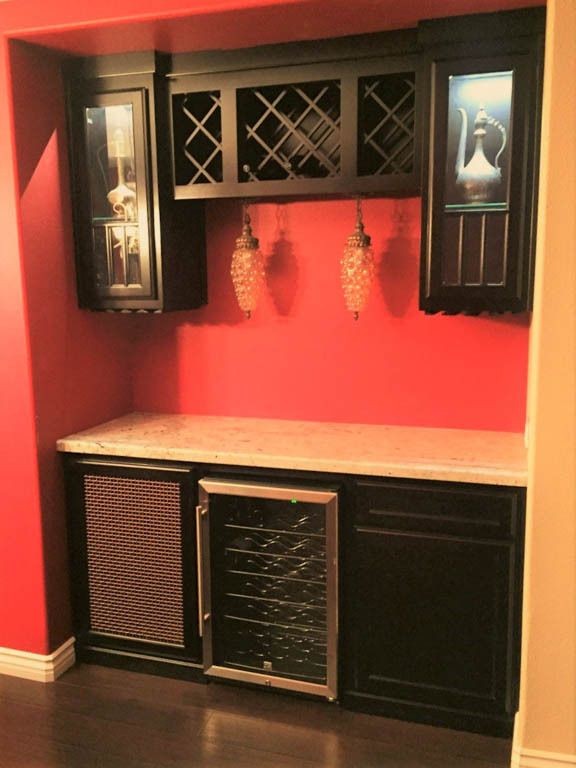 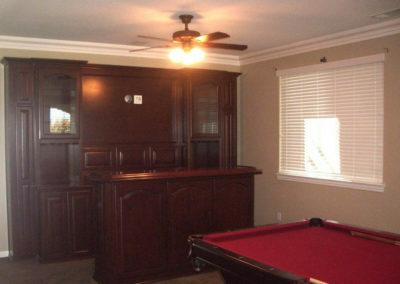 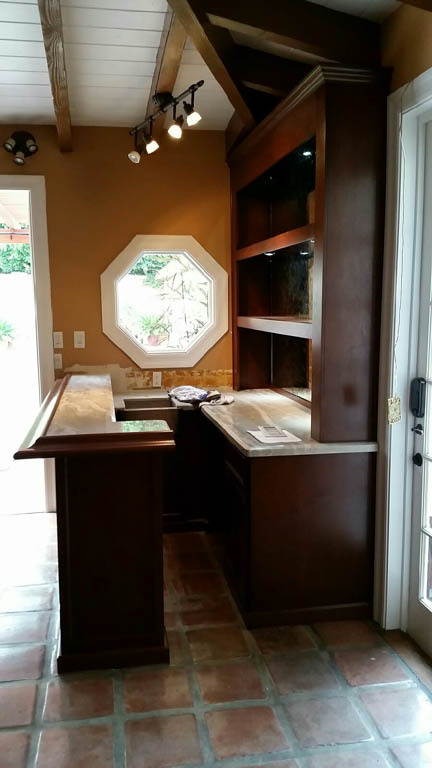 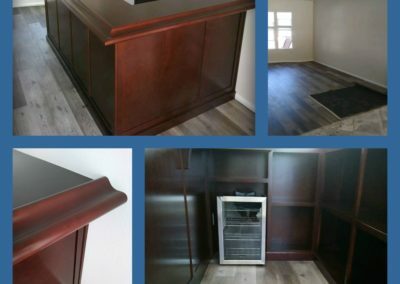 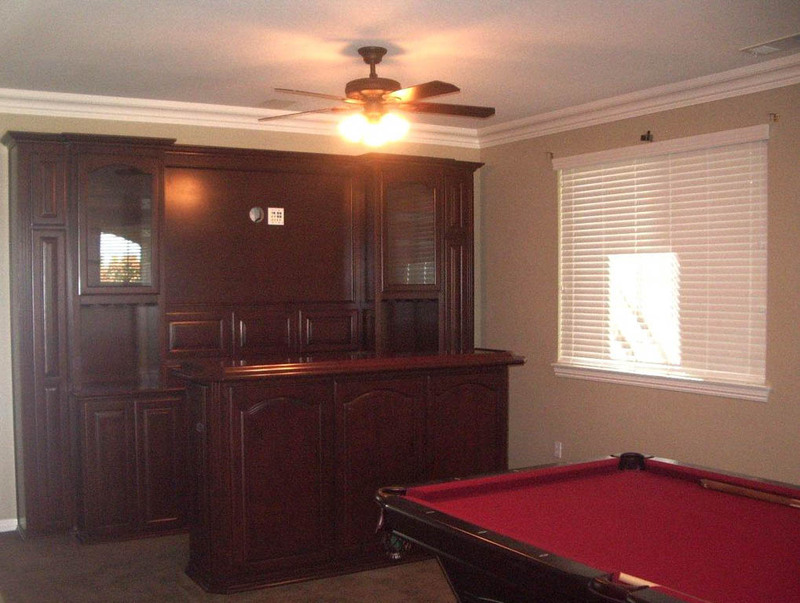 You’ll be ready to entertain, or enjoy a nightcap with your own built in cabinets. 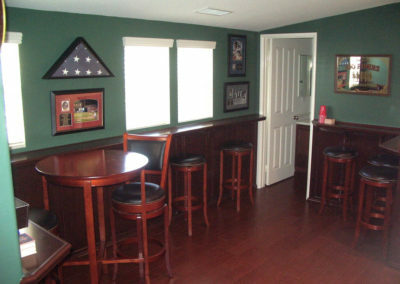 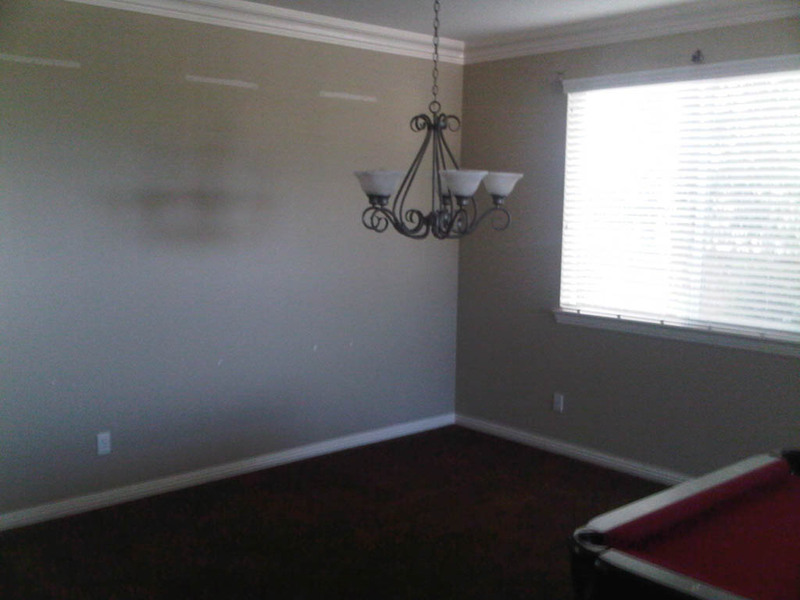 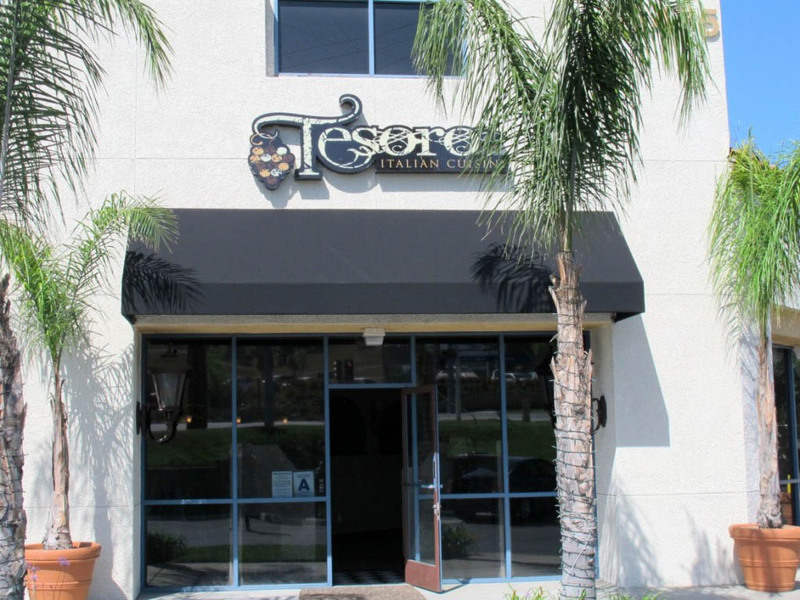 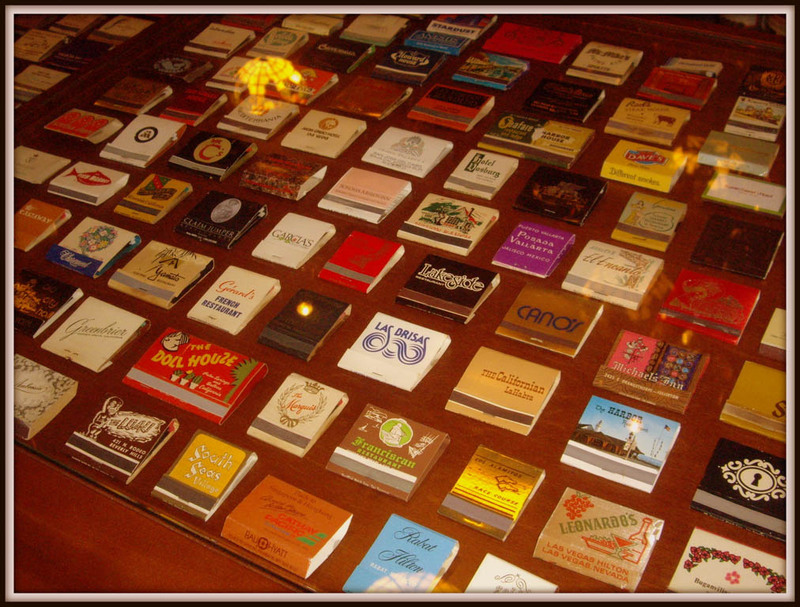 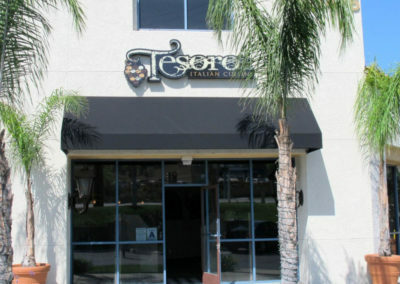 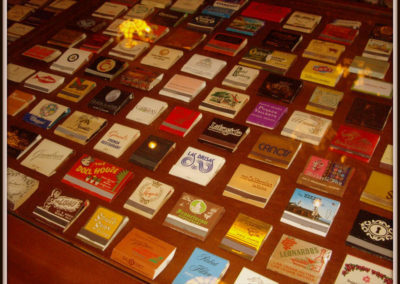 Entertainment Bar in Chino Hills. 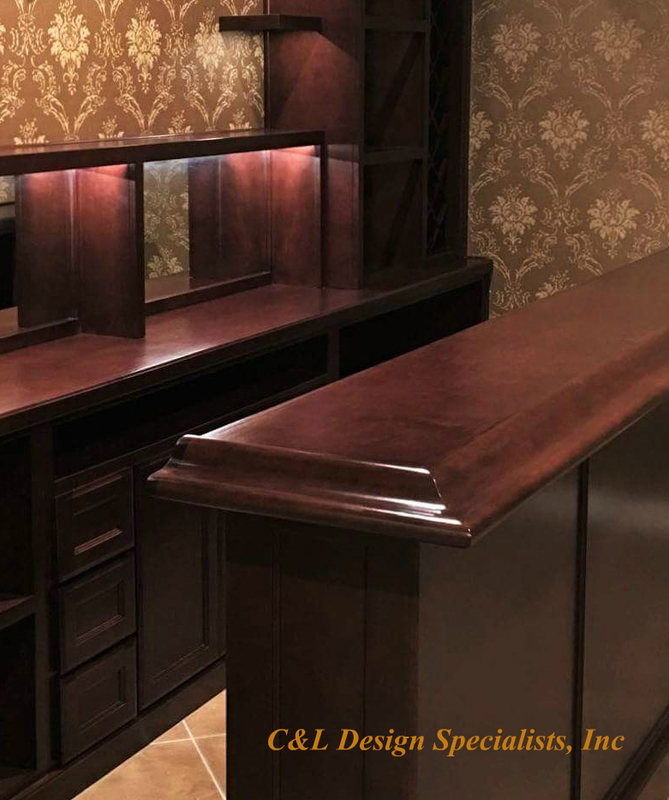 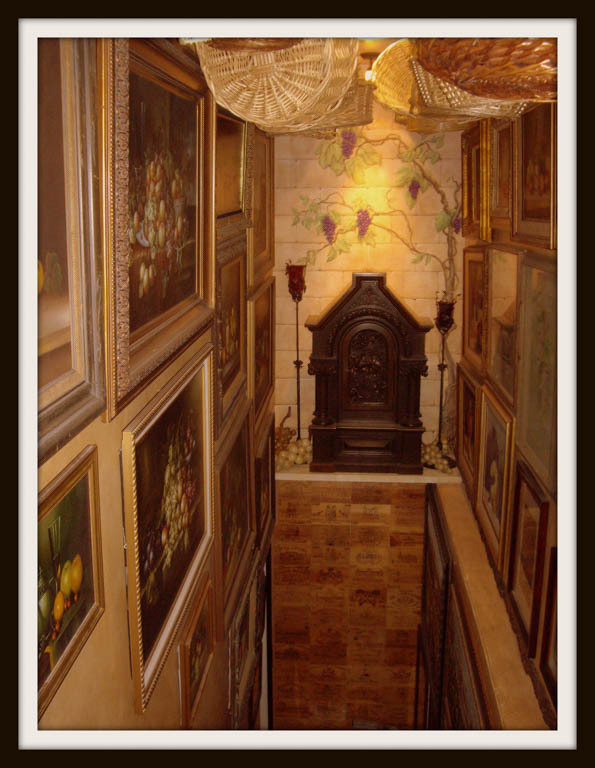 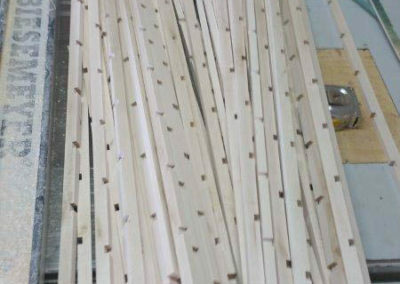 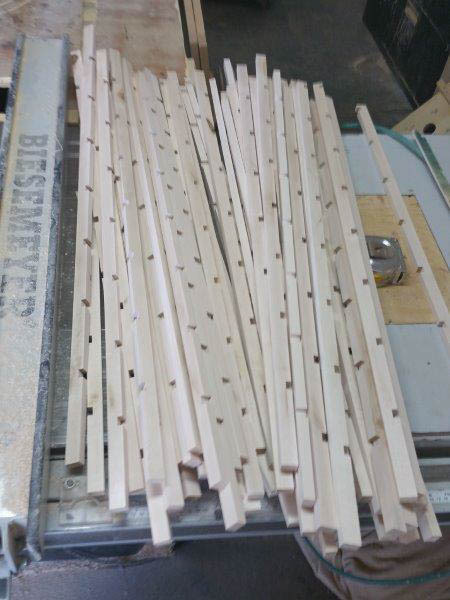 Only the finest Craftsmen and Materials are used in every custom project C&L contracts. 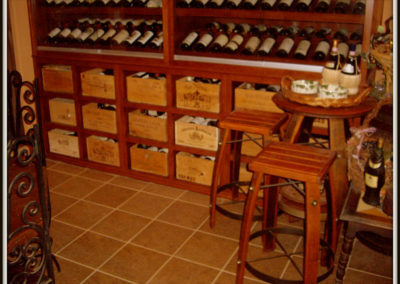 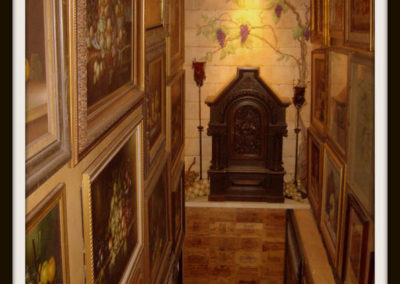 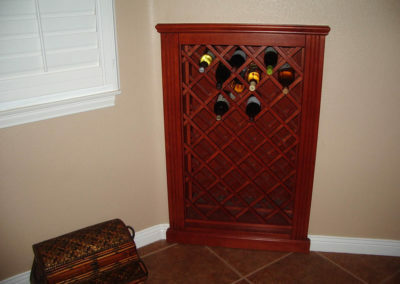 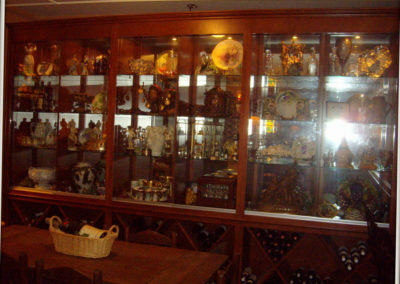 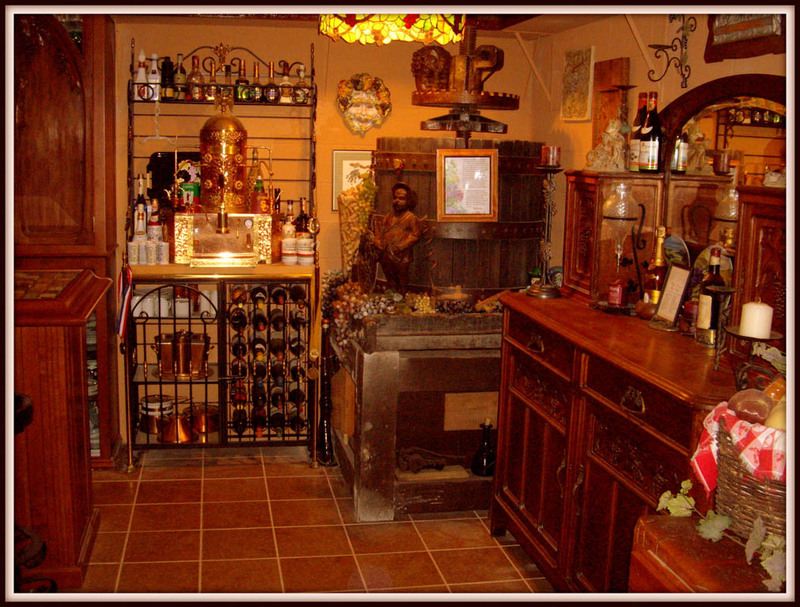 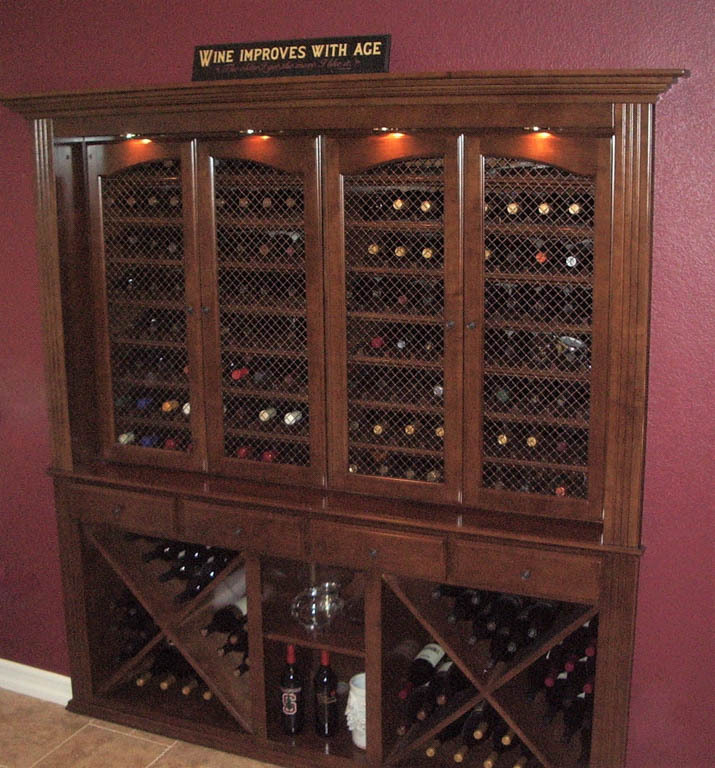 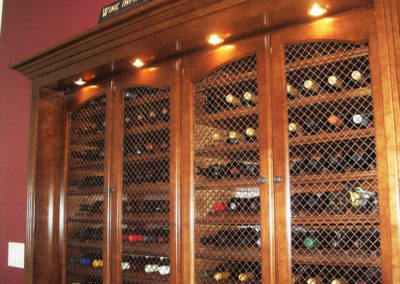 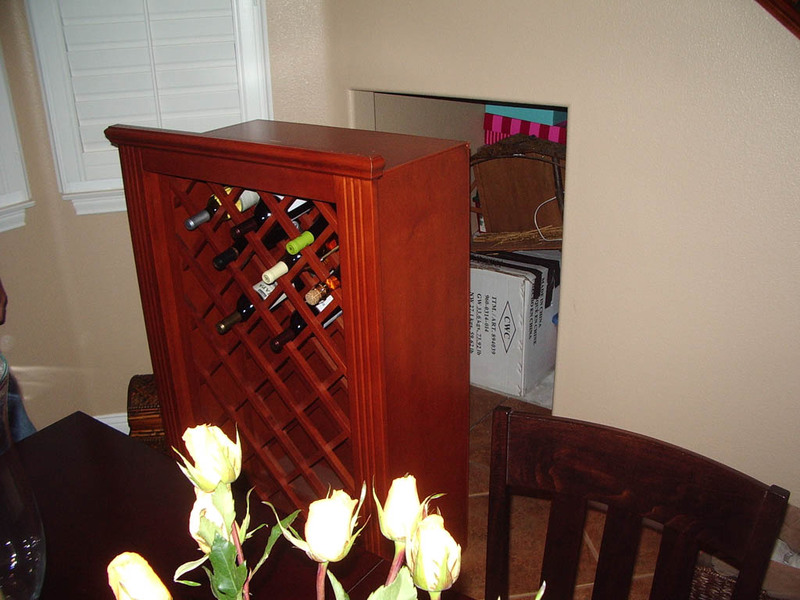 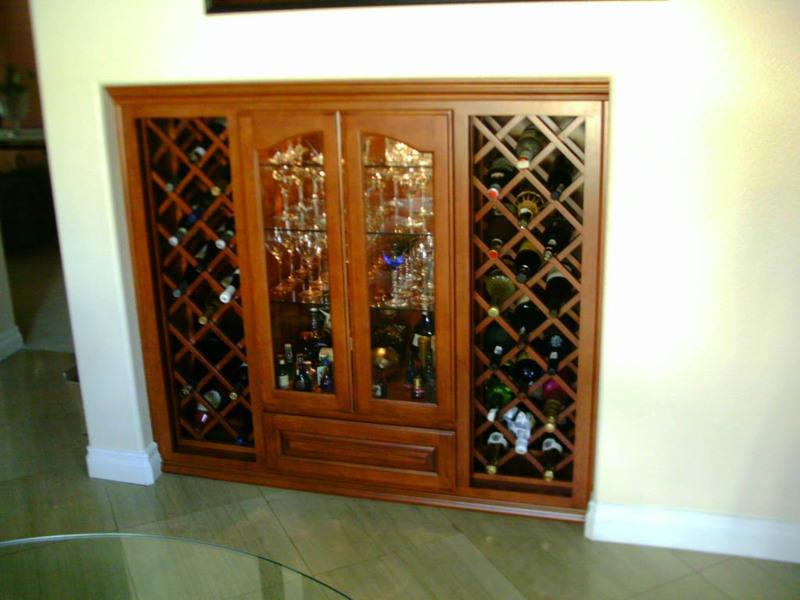 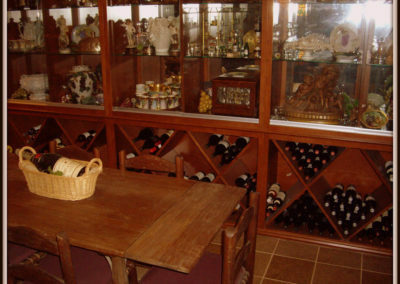 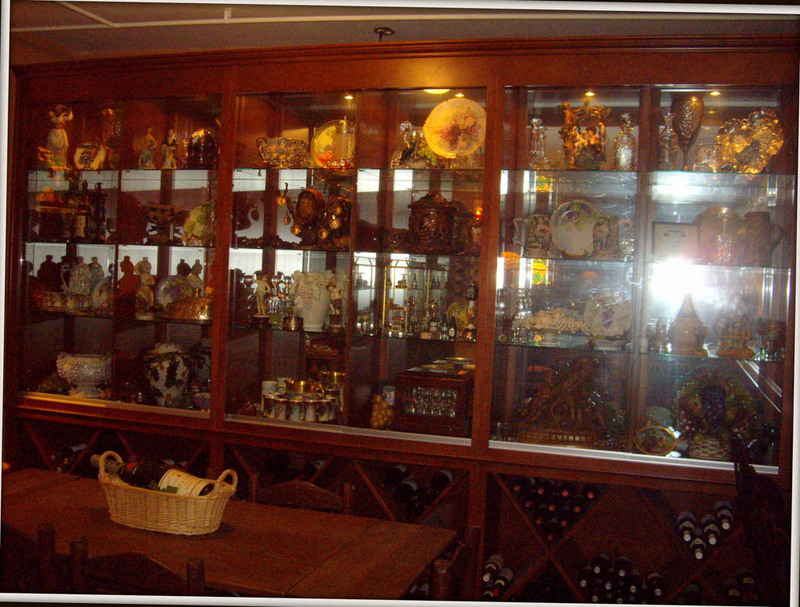 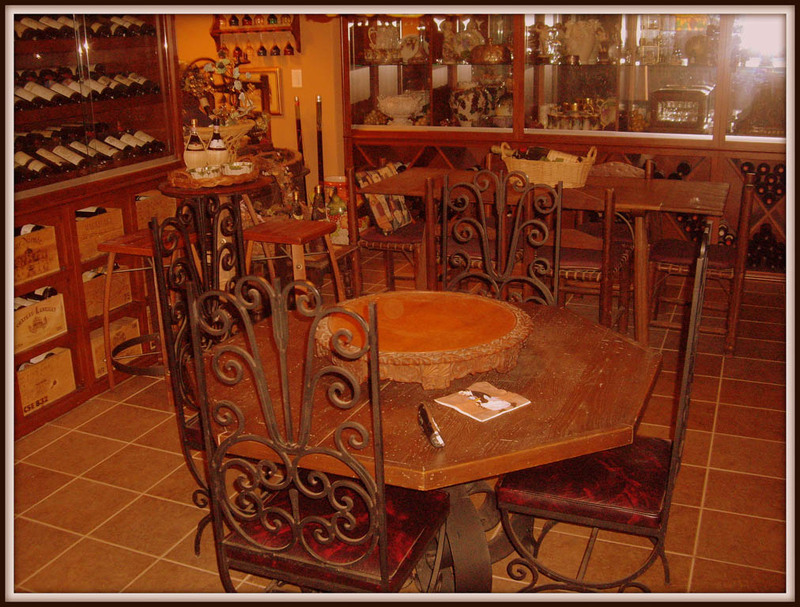 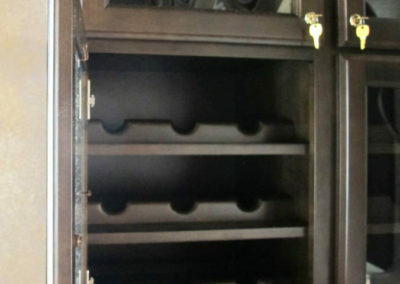 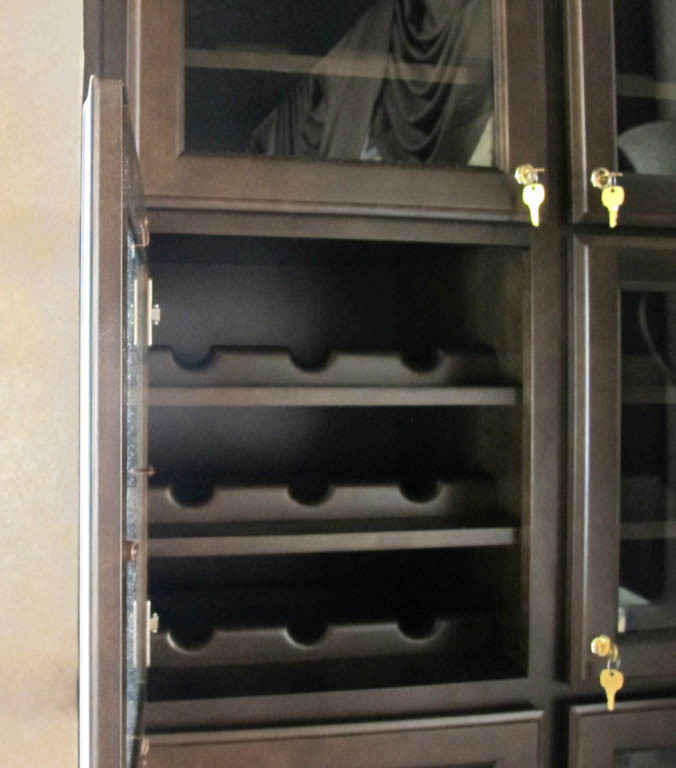 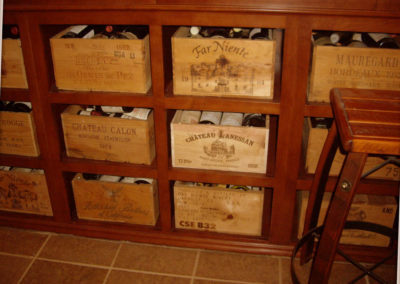 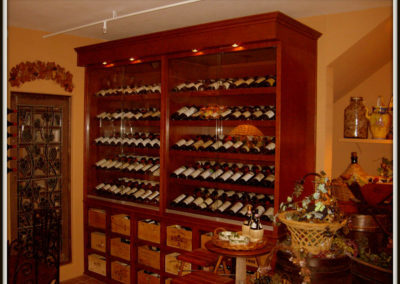 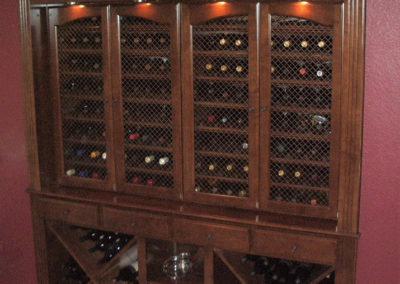 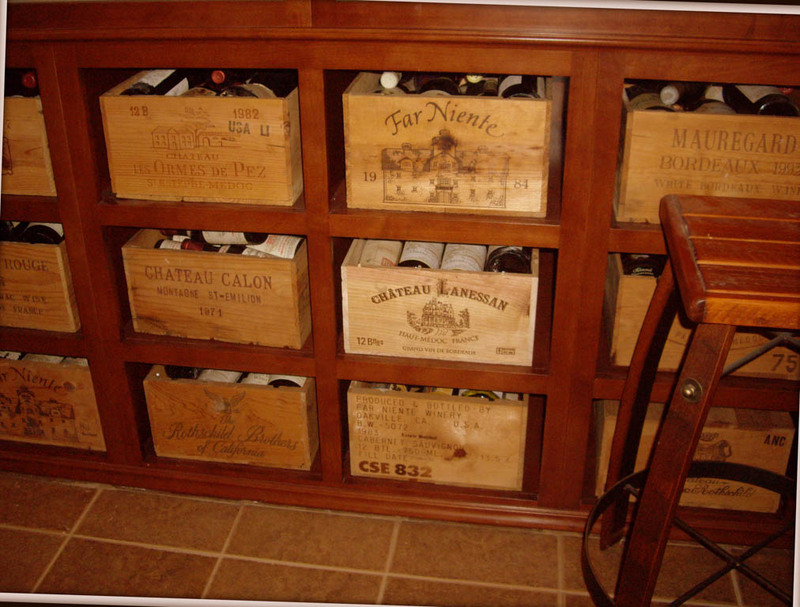 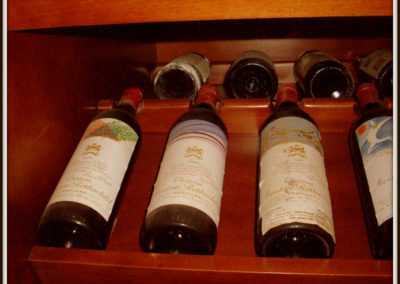 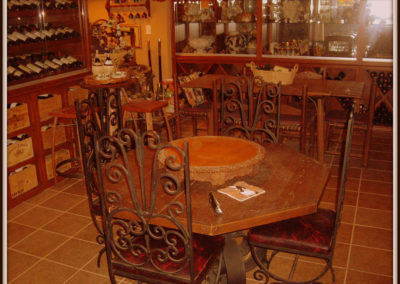 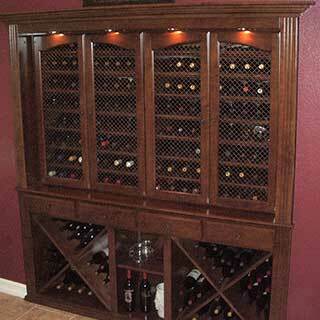 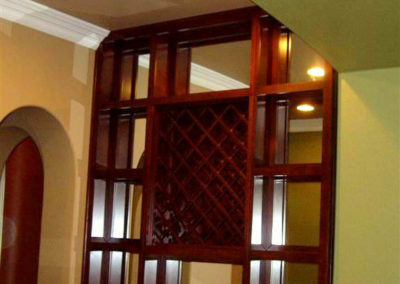 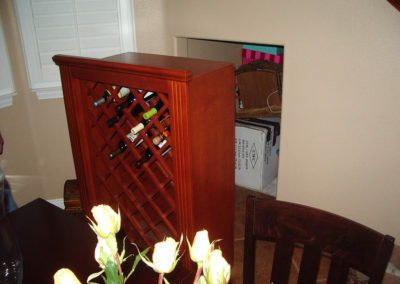 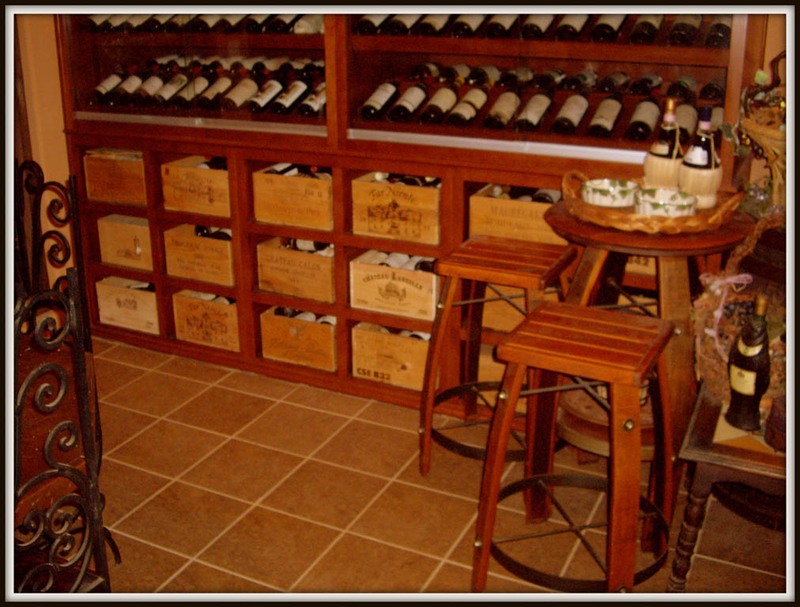 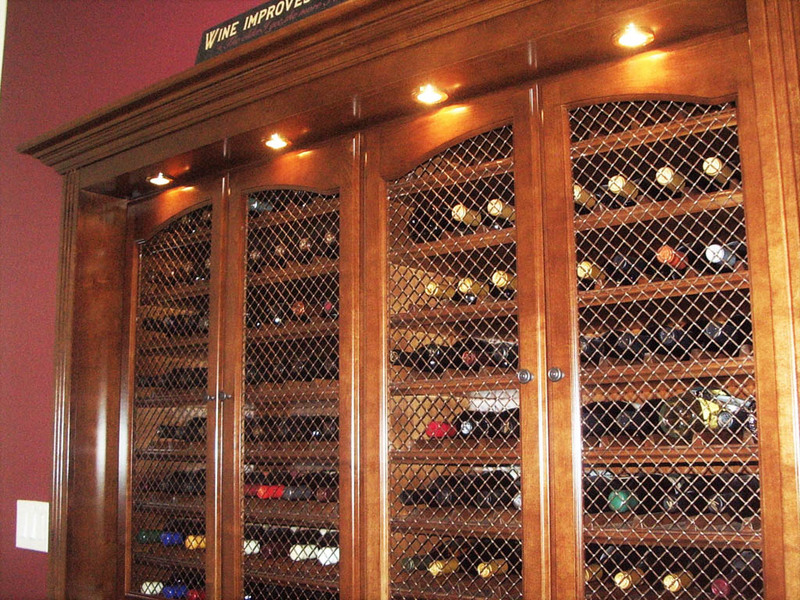 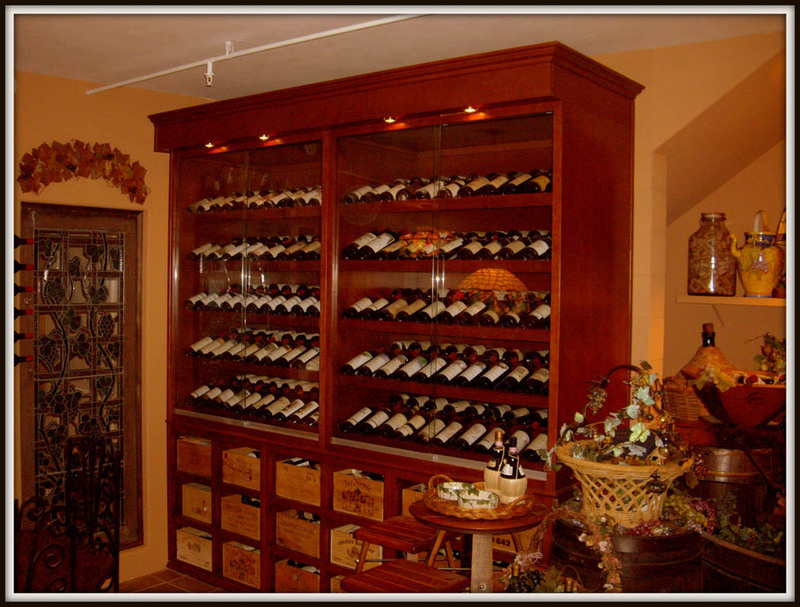 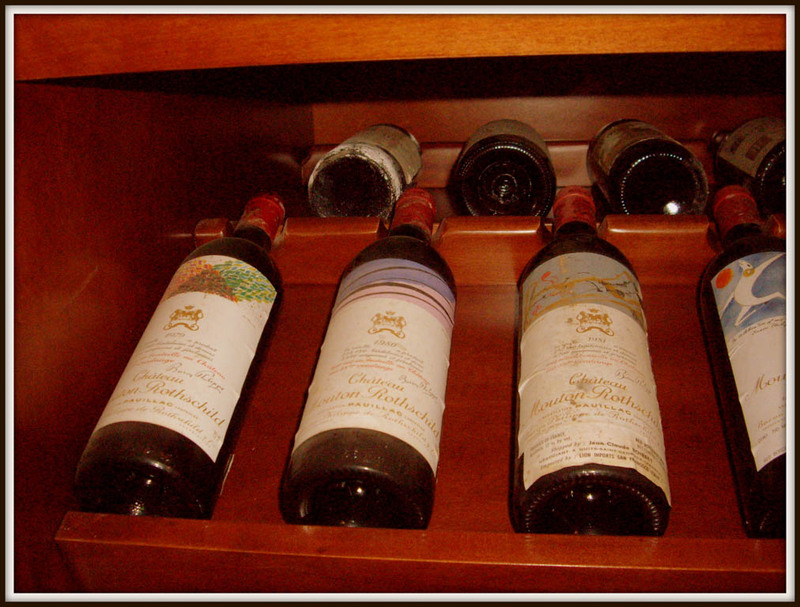 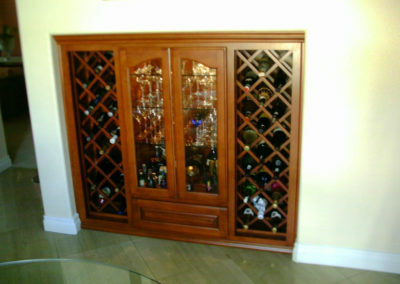 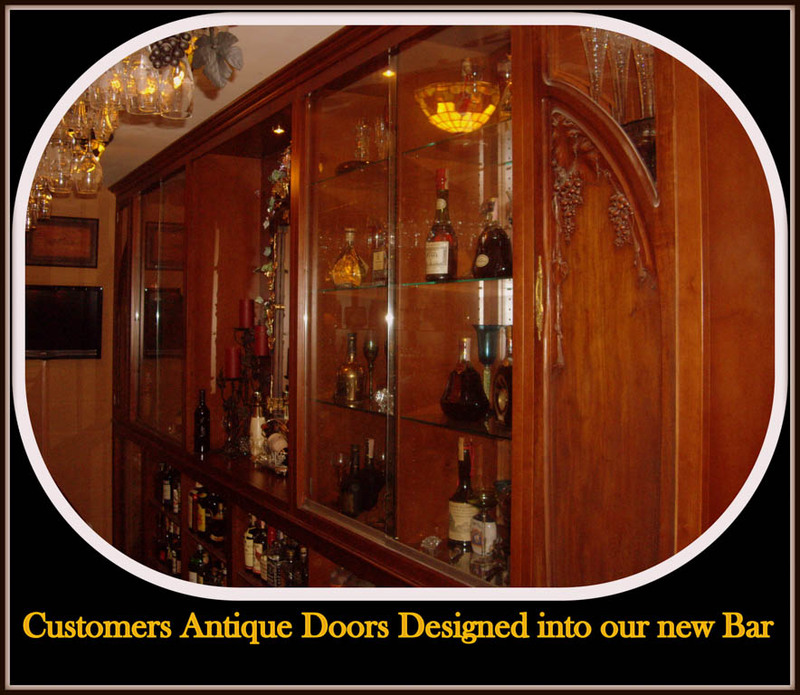 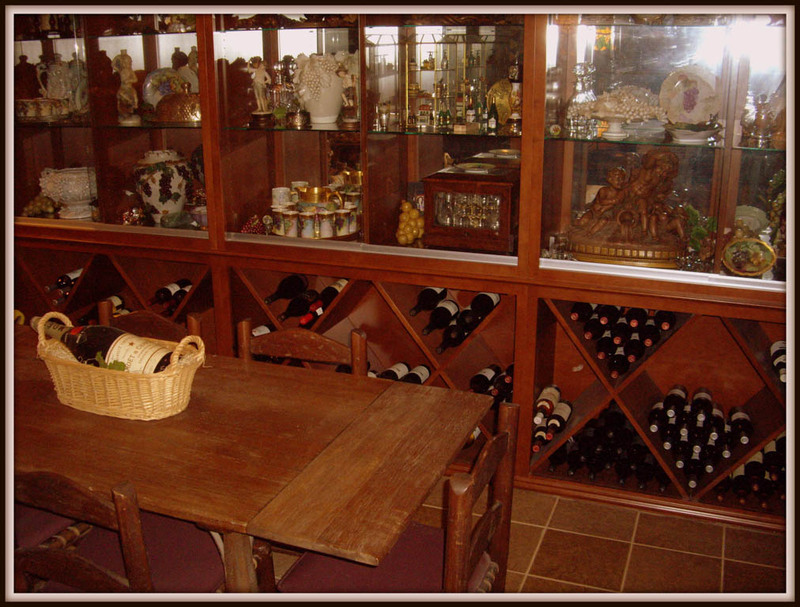 Locking wine storage cabinetry protects restaurant patrons personal wine. 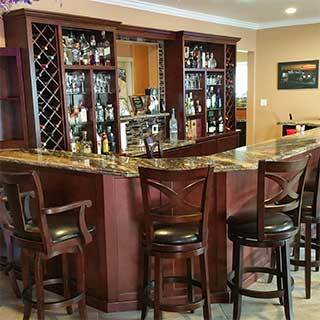 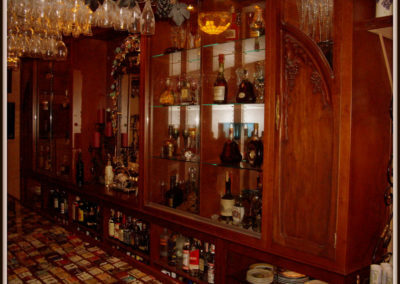 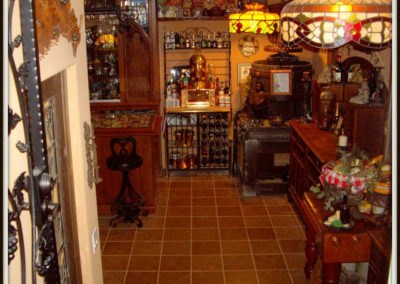 Ready to get design ideas about your custom home bar cabinets?